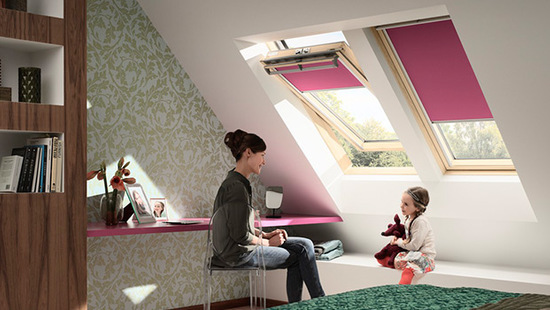 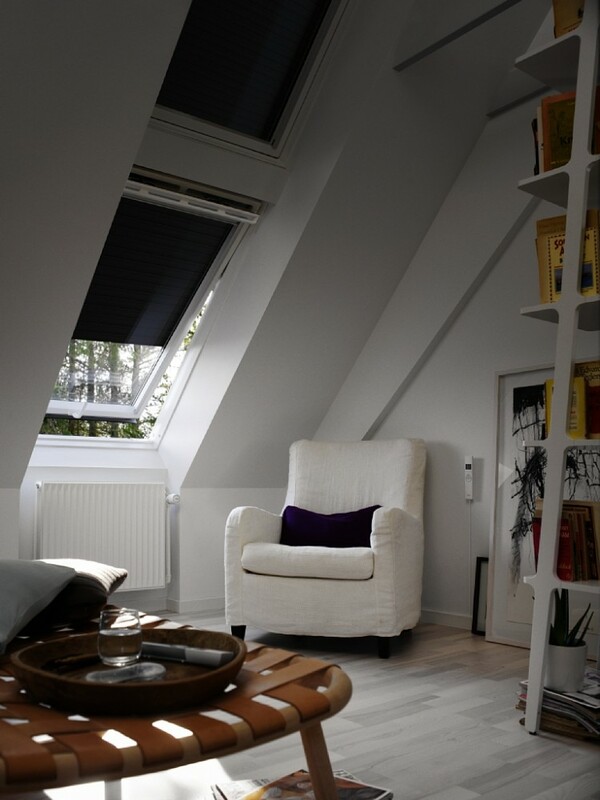 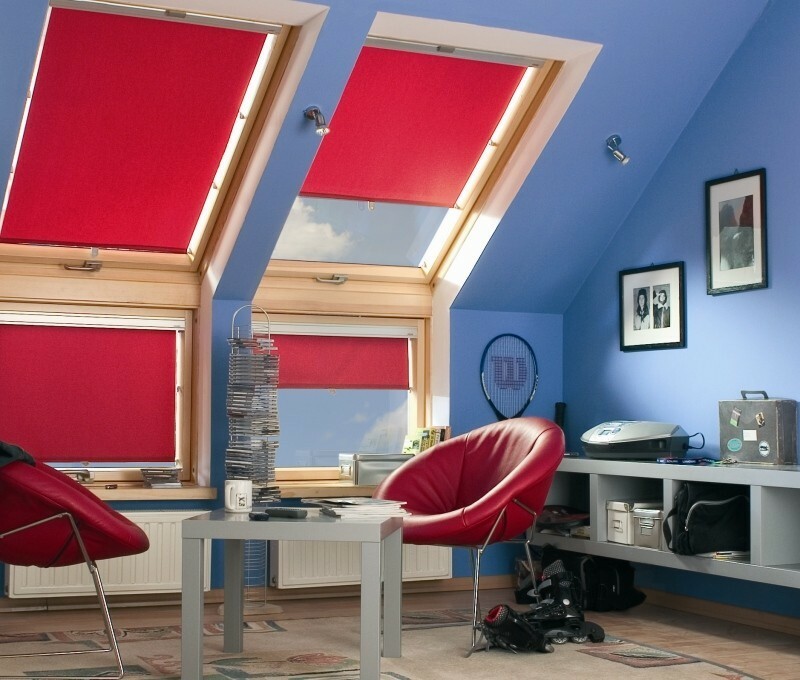 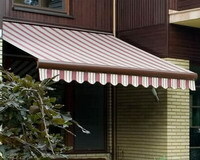 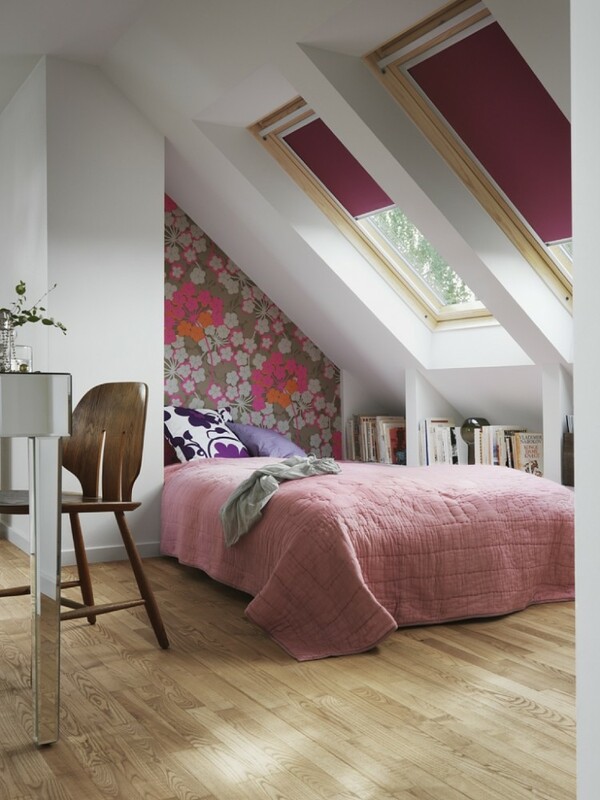 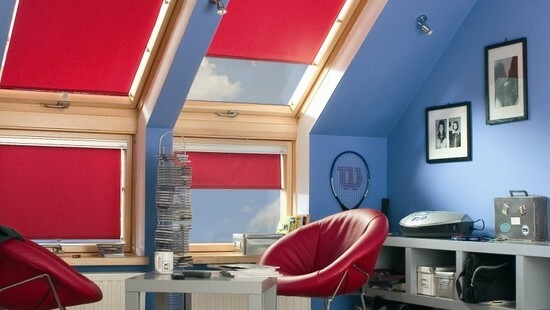 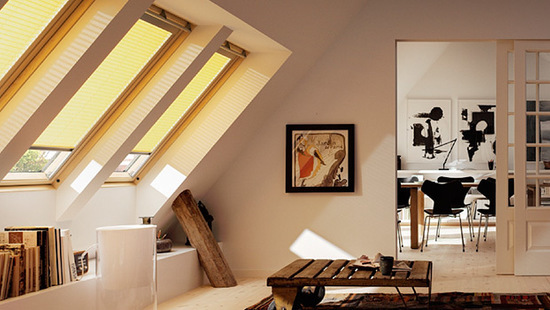 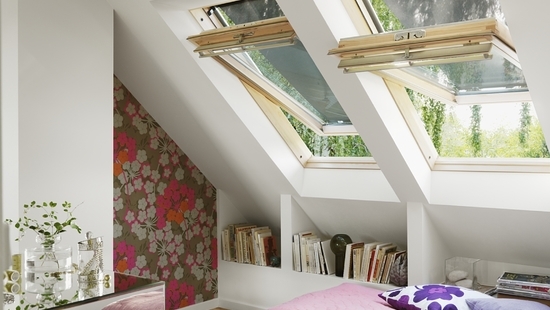 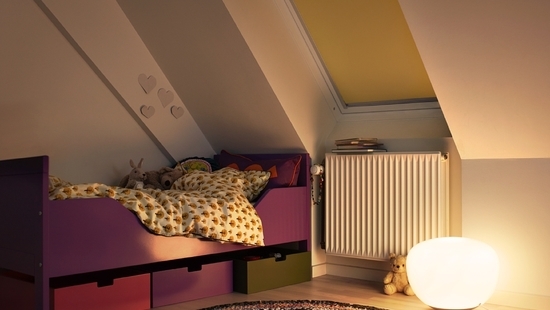 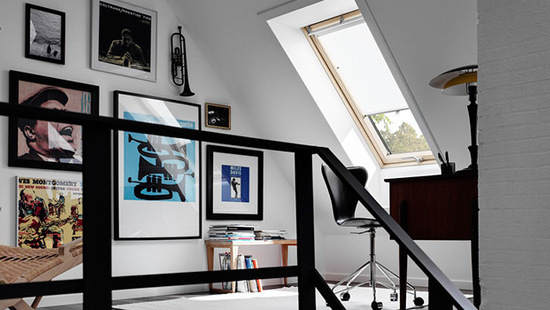 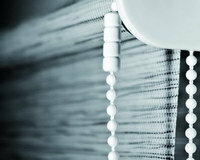 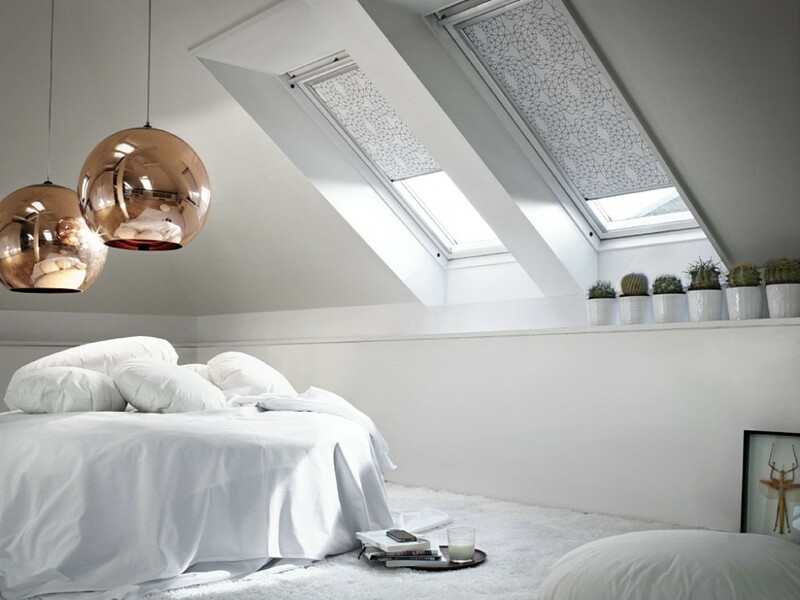 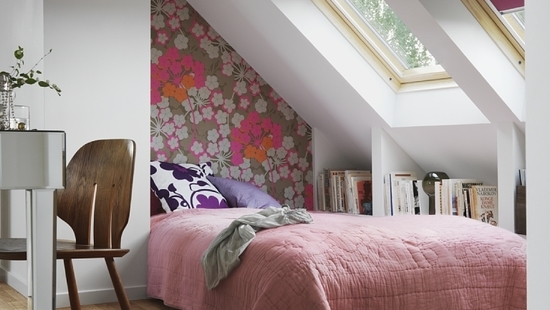 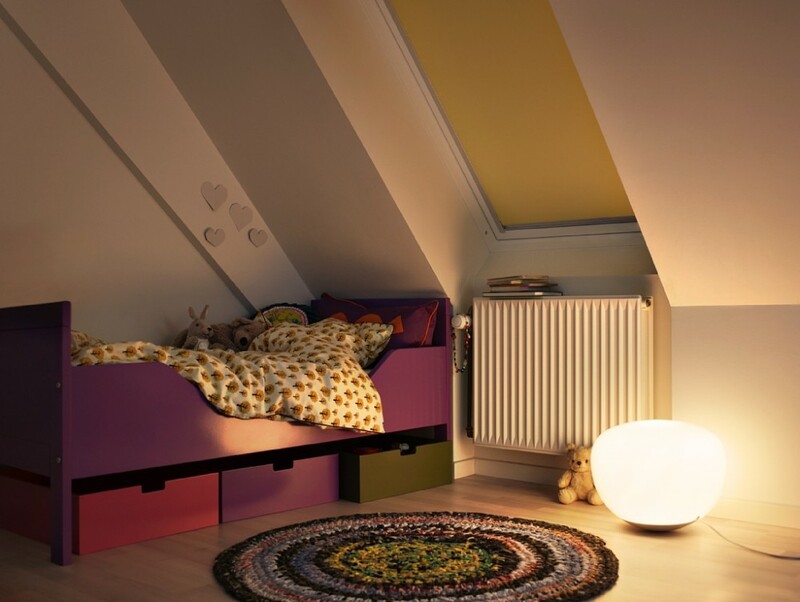 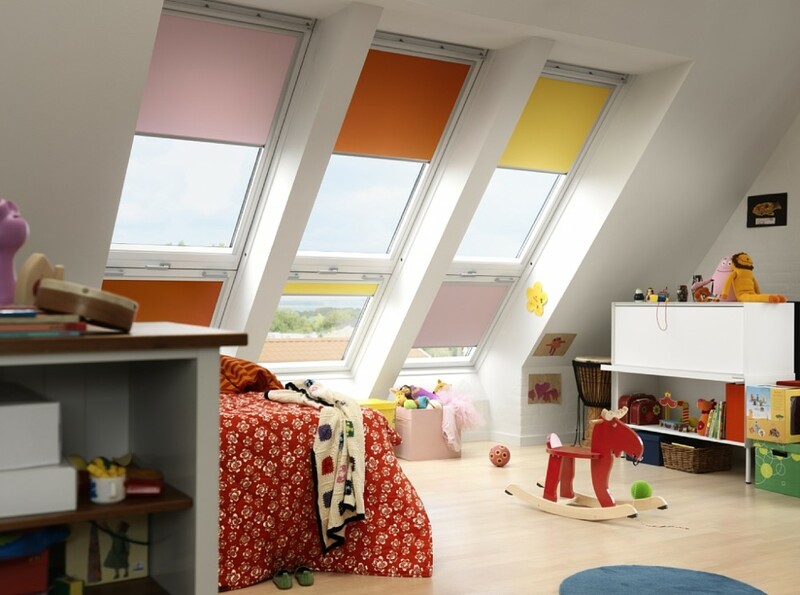 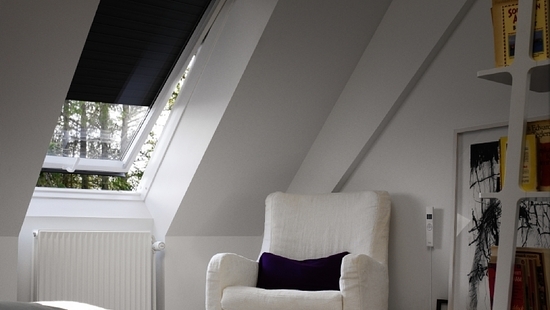 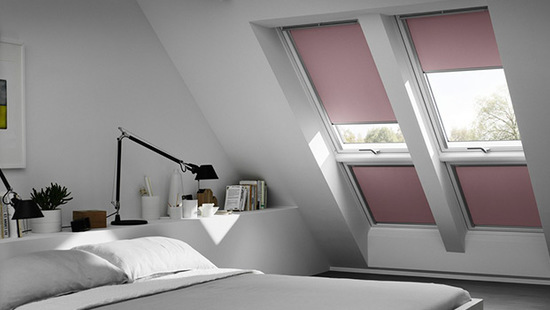 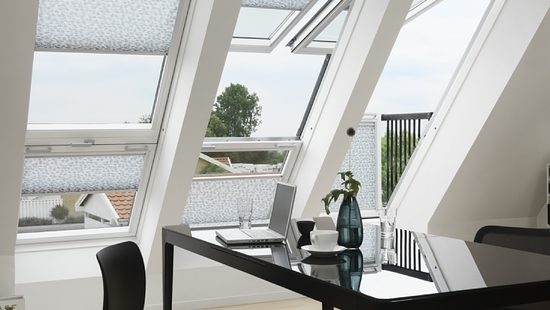 The standard roller blinds protects from the light and at the same time can be an additional element of decoration in the attic. 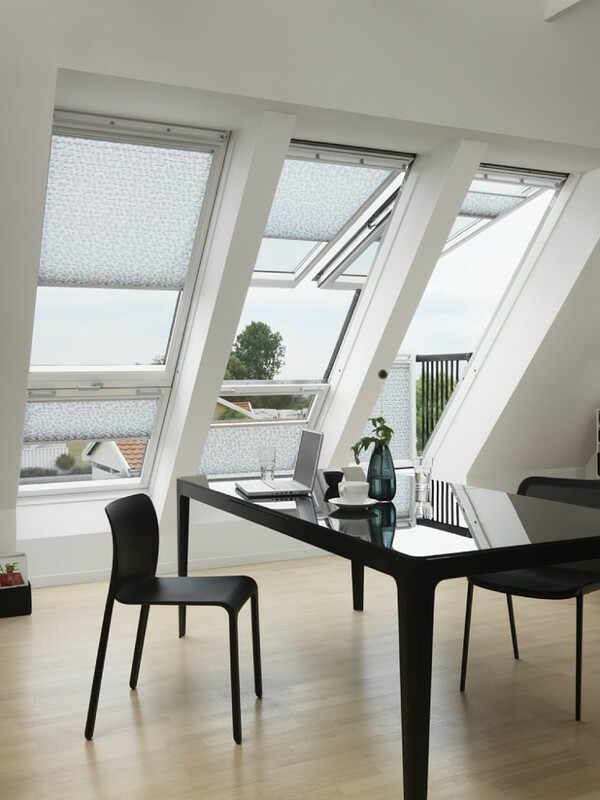 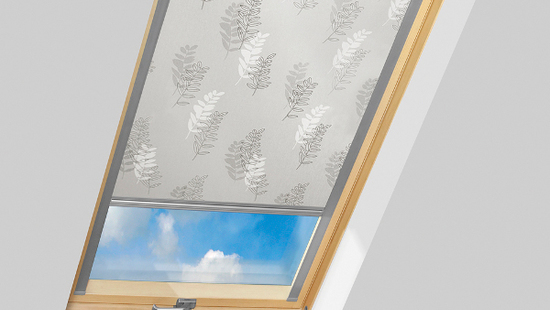 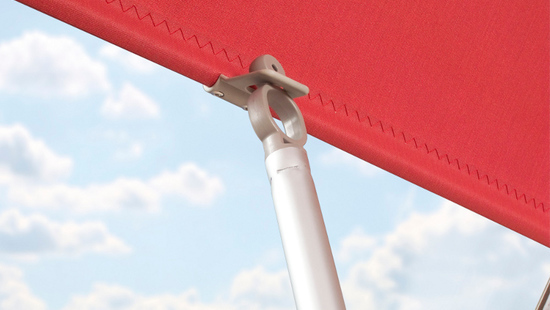 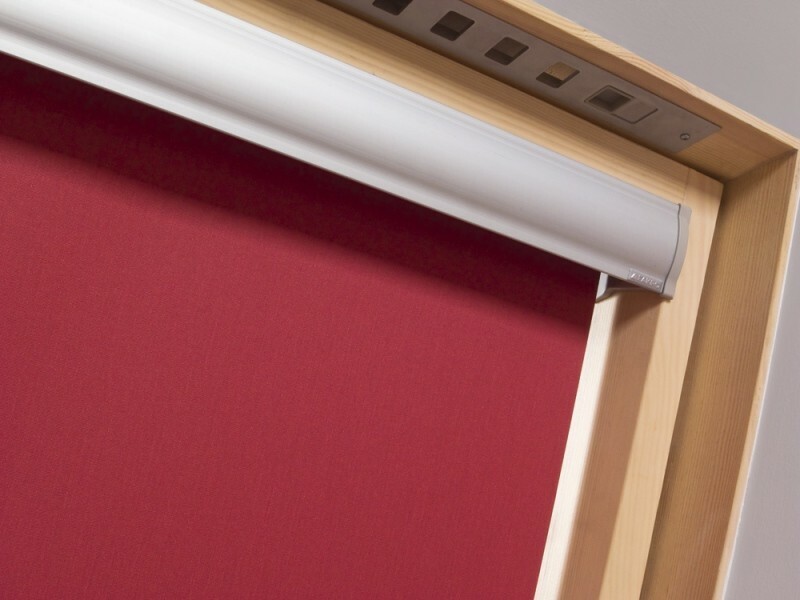 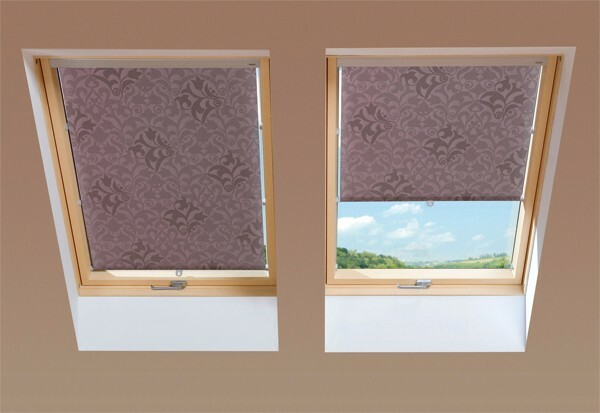 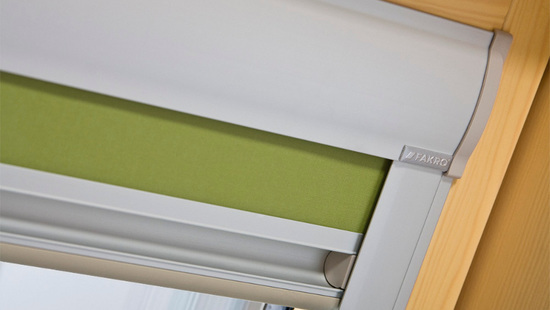 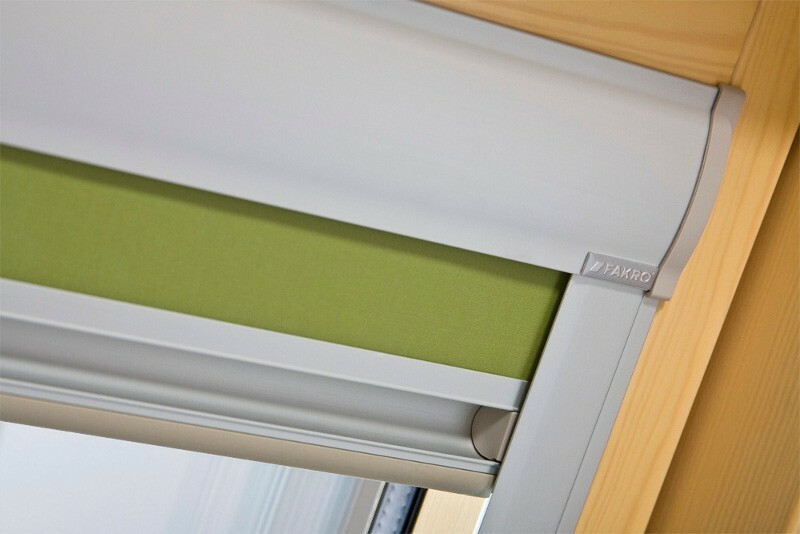 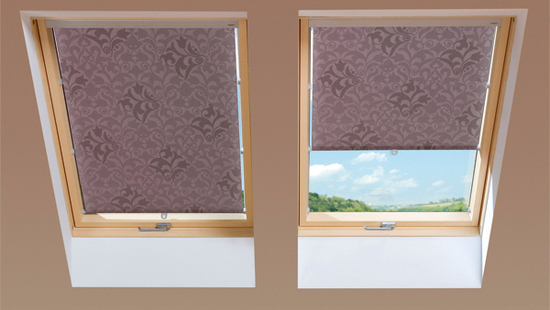 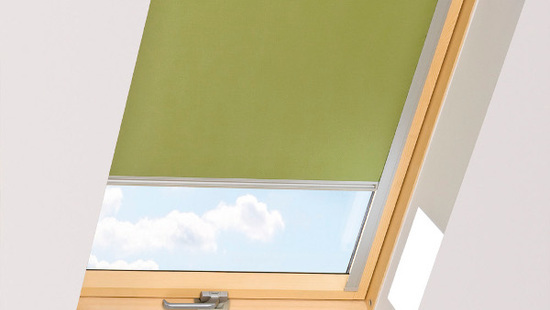 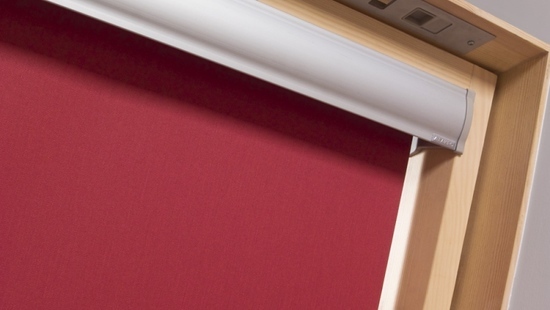 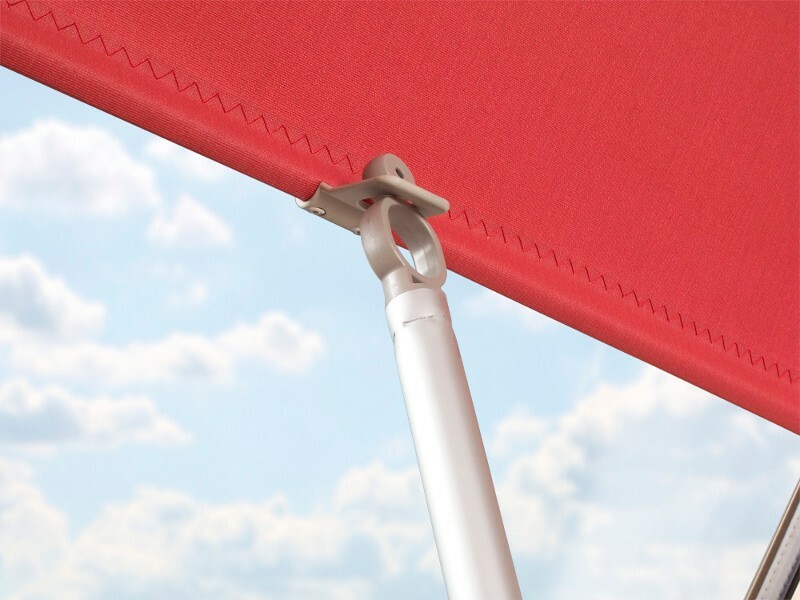 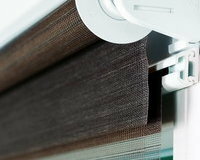 The roller blind reduces the amount of incoming light, adds style to the room, and the wide range of fabric designs (plain, patterned) allows you to match or contrast the blind's material with the decor of any room. 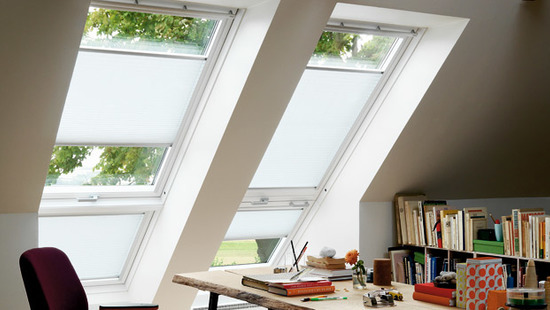 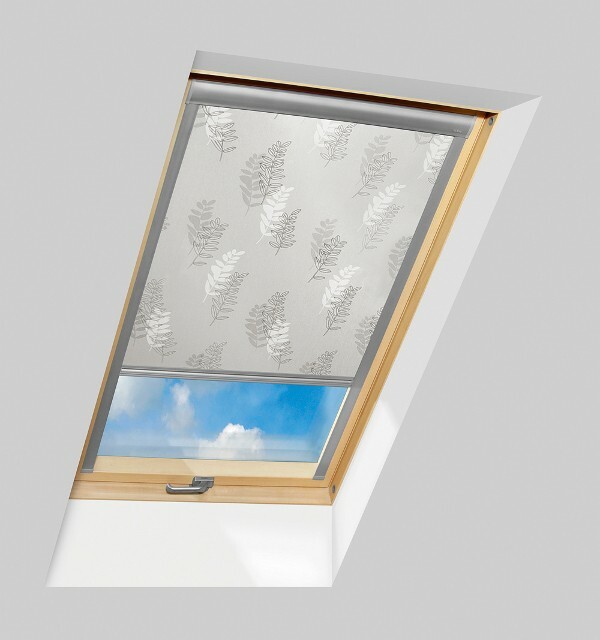 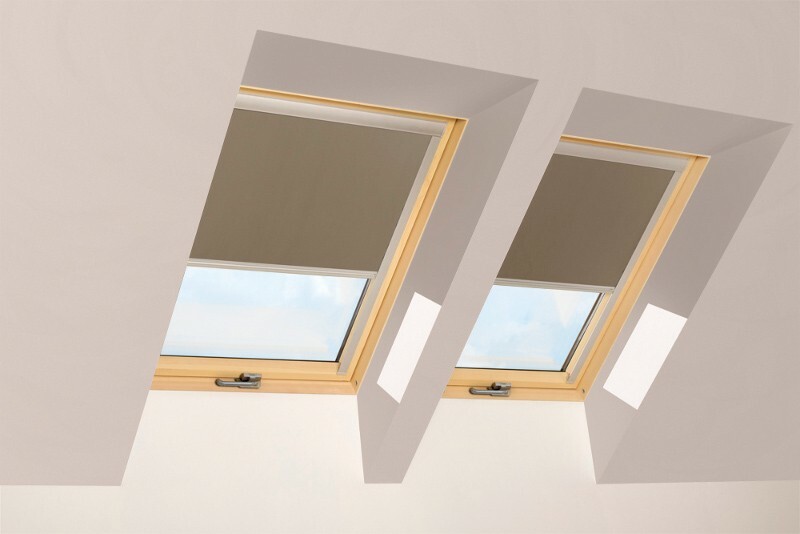 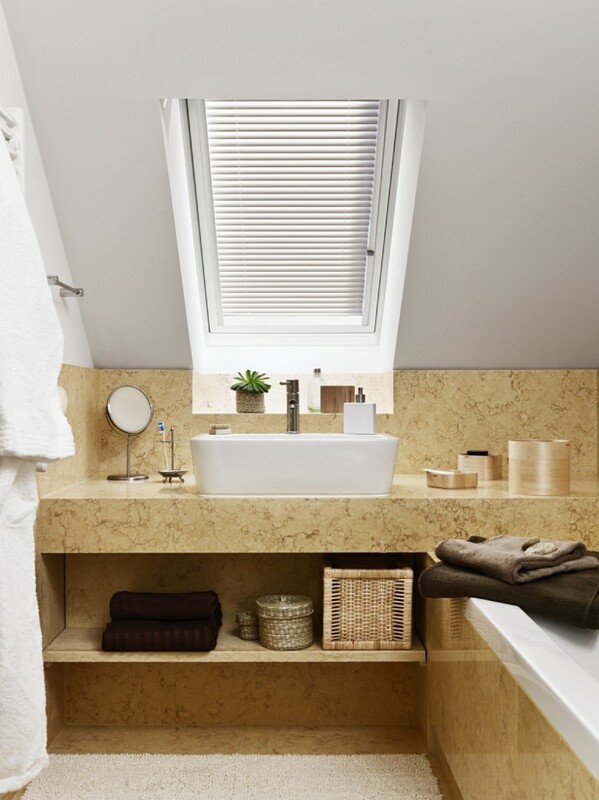 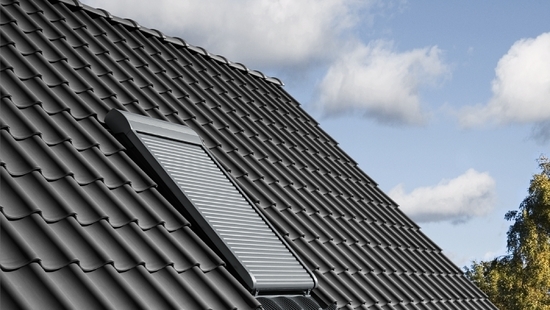 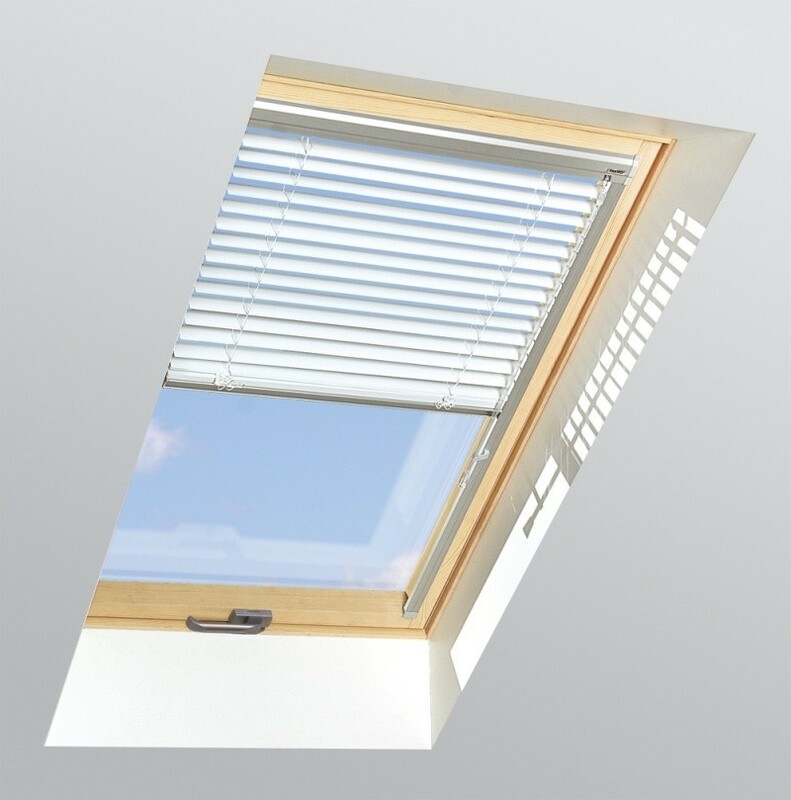 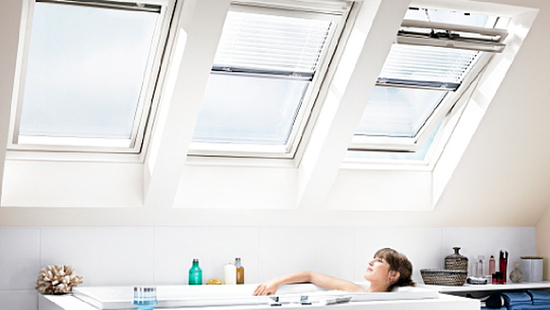 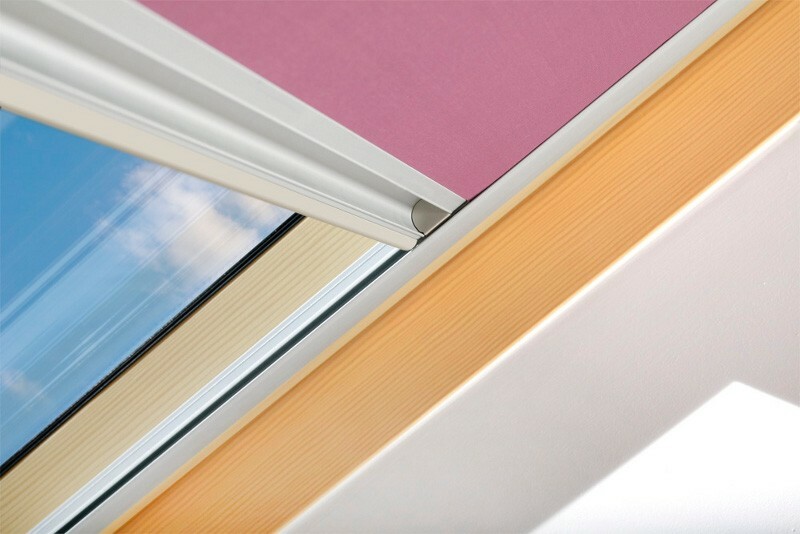 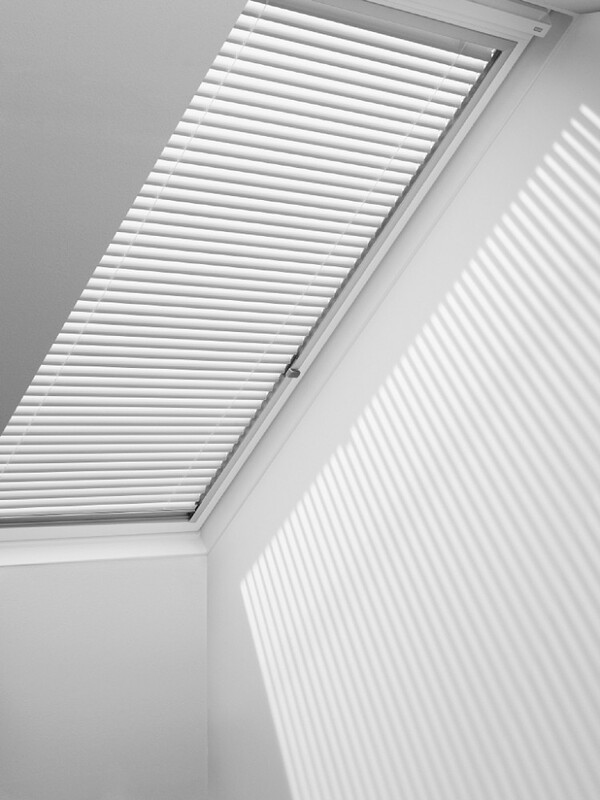 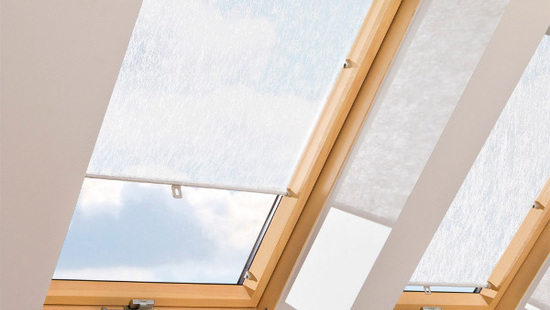 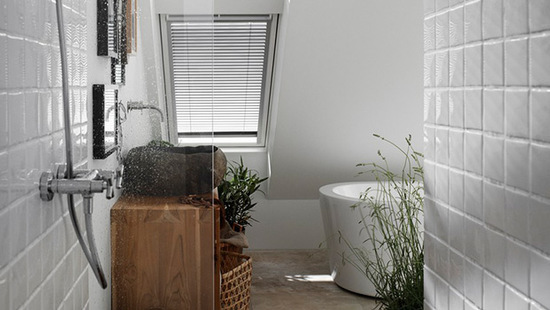 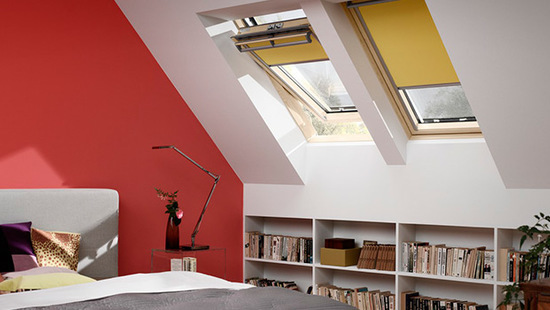 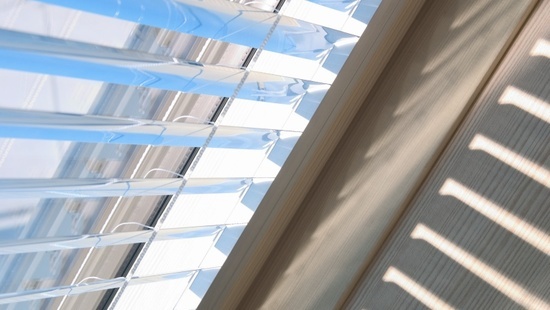 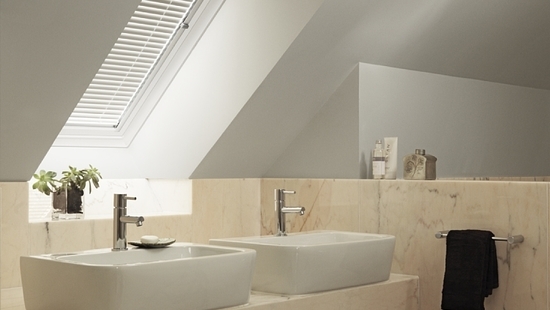 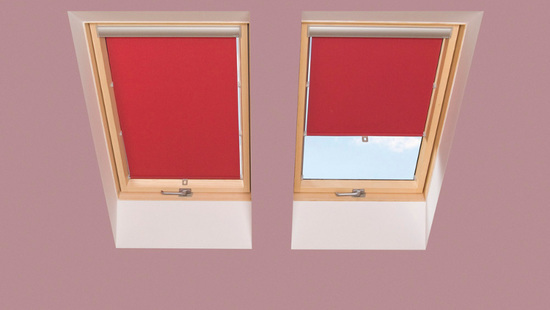 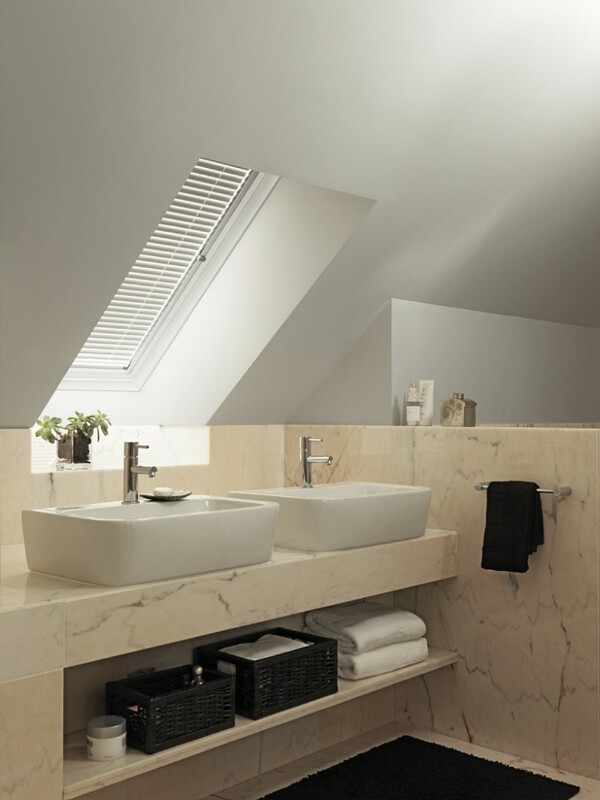 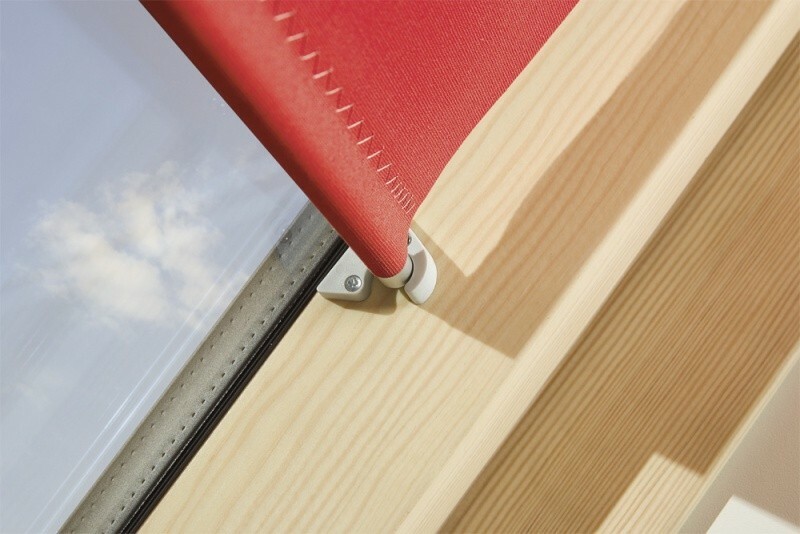 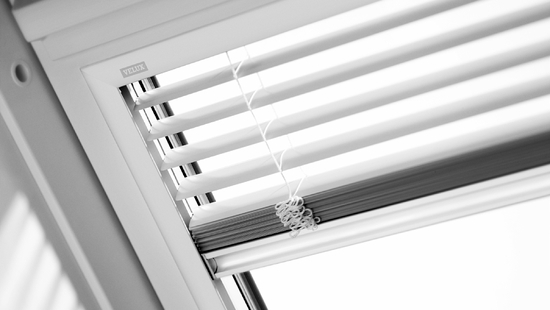 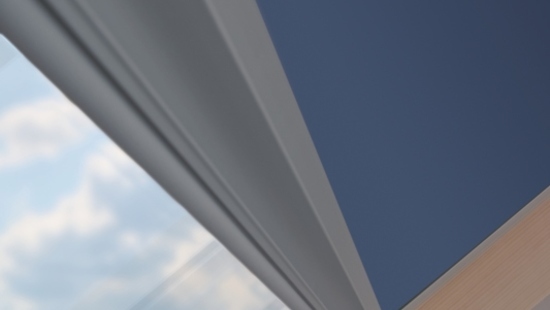 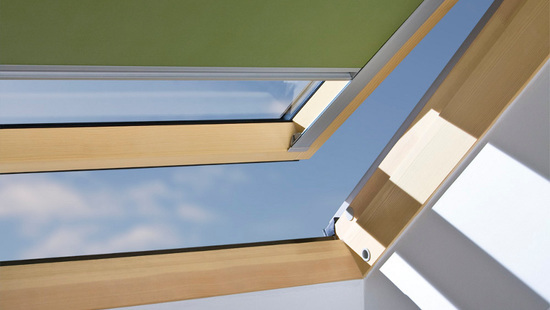 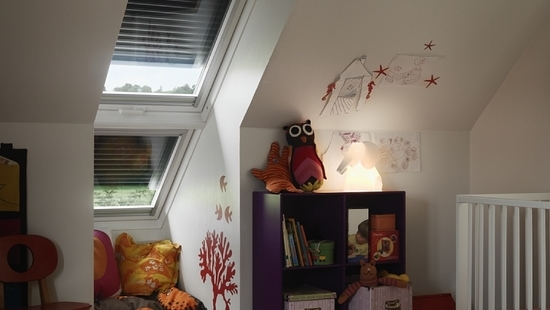 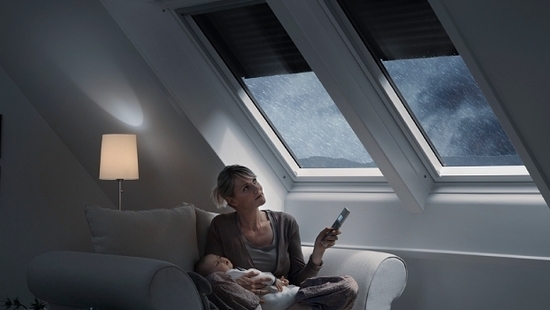 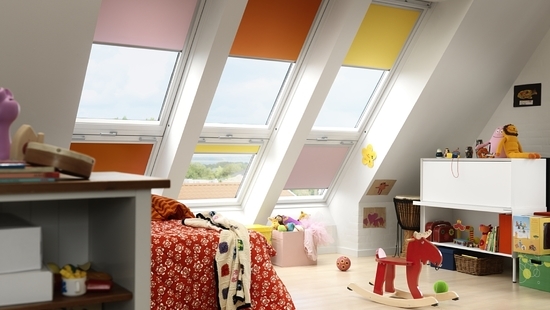 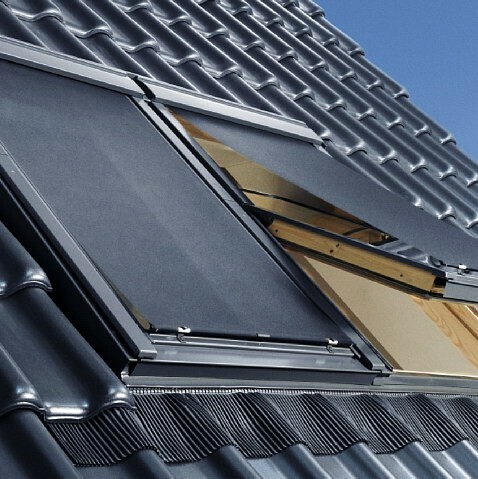 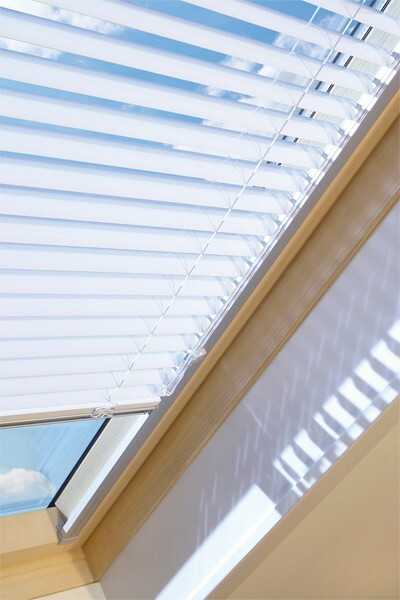 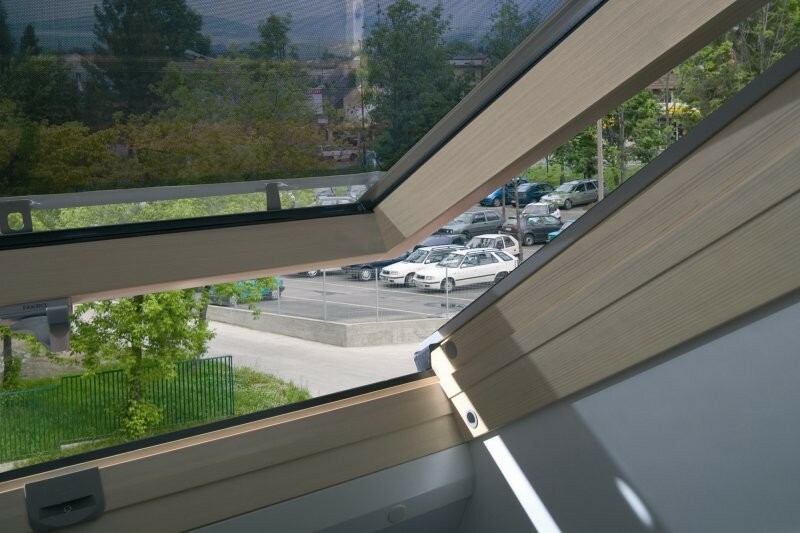 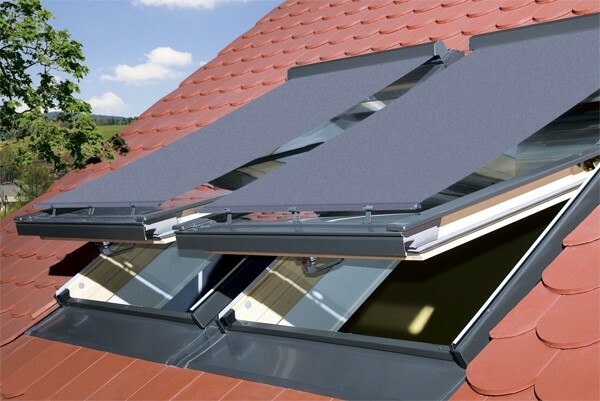 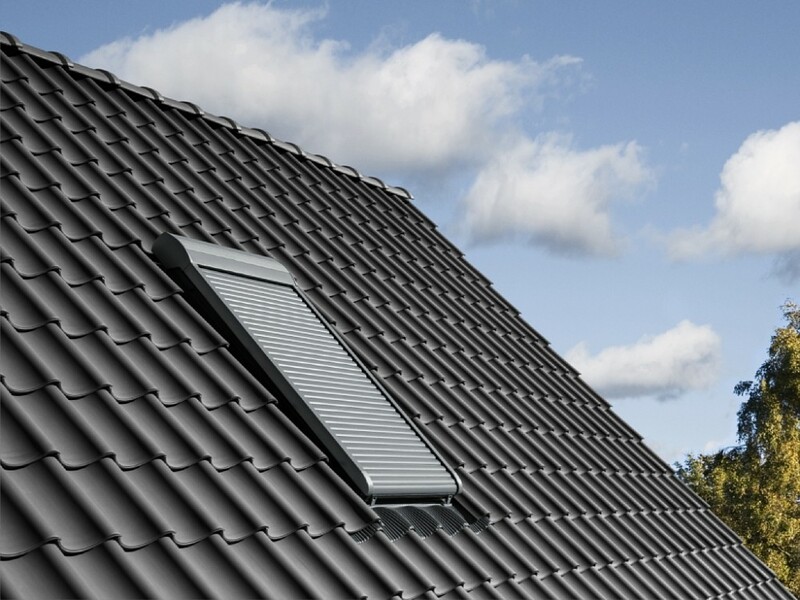 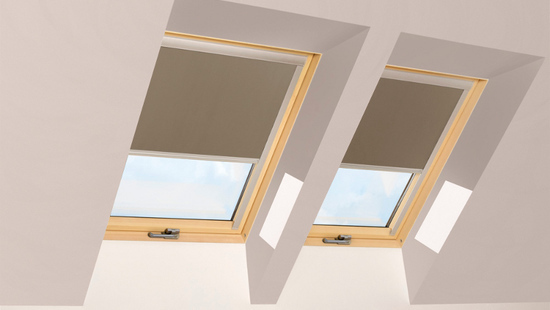 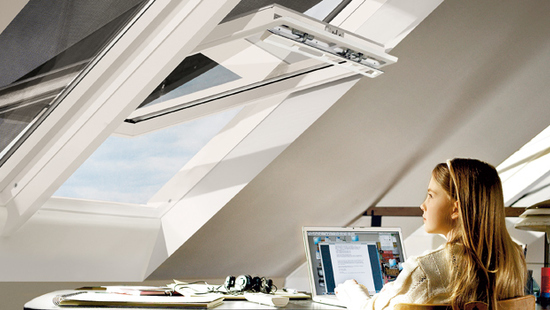 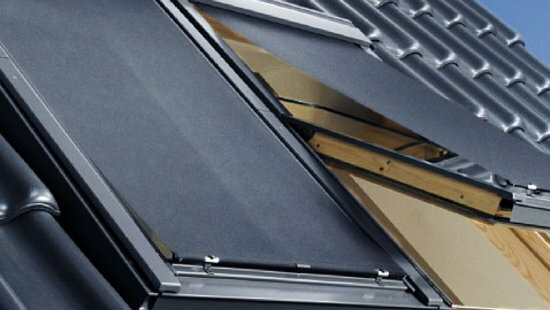 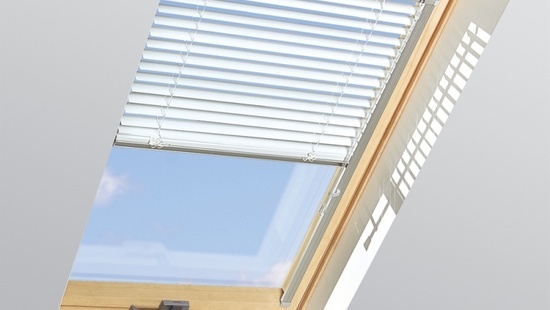 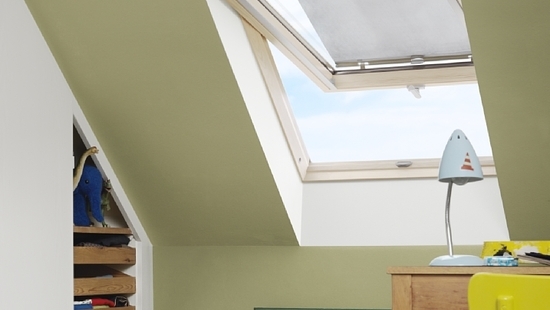 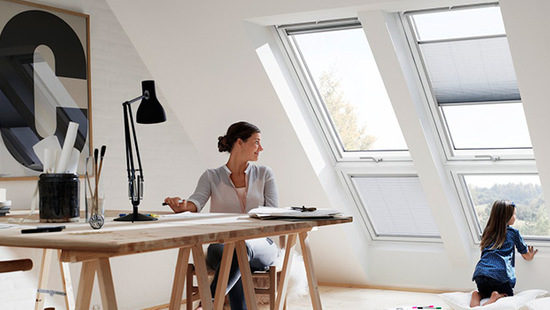 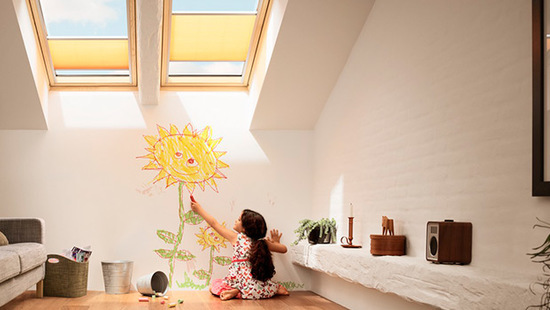 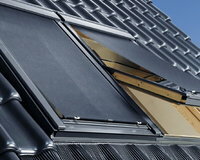 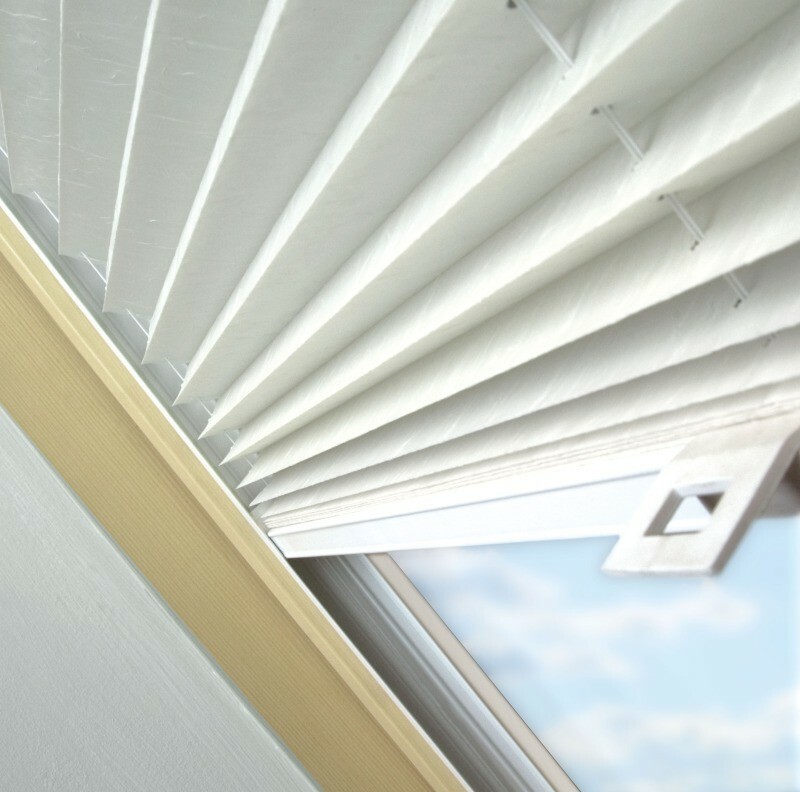 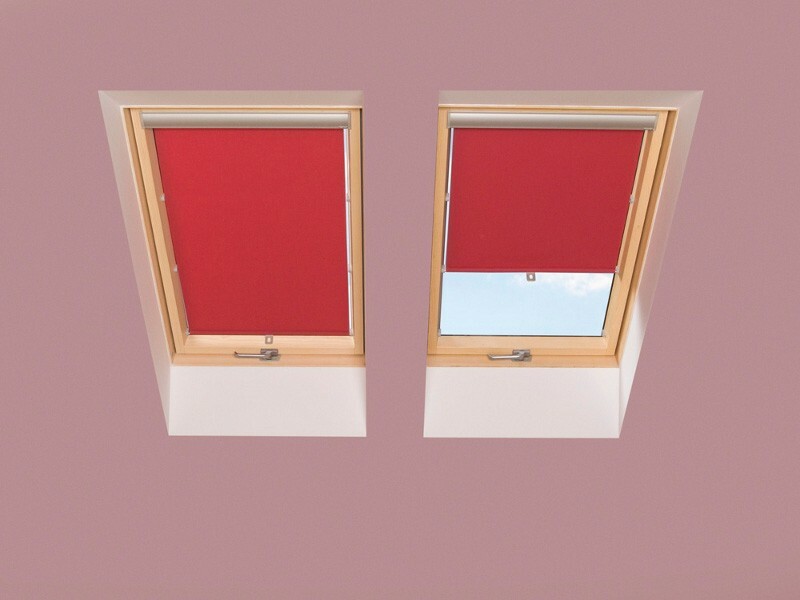 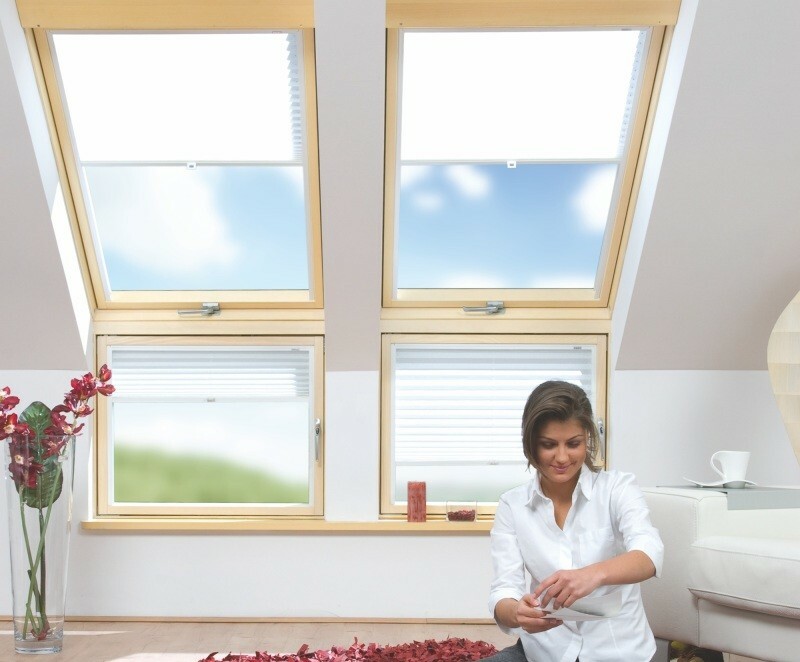 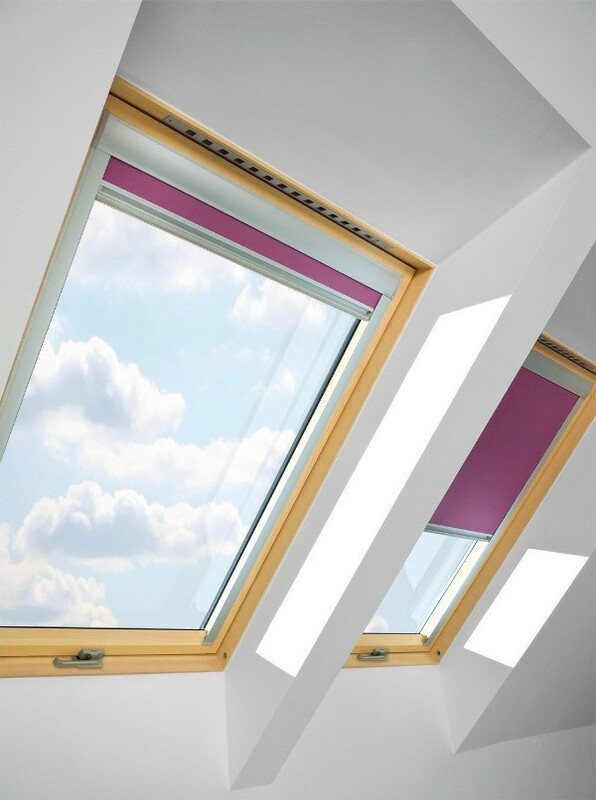 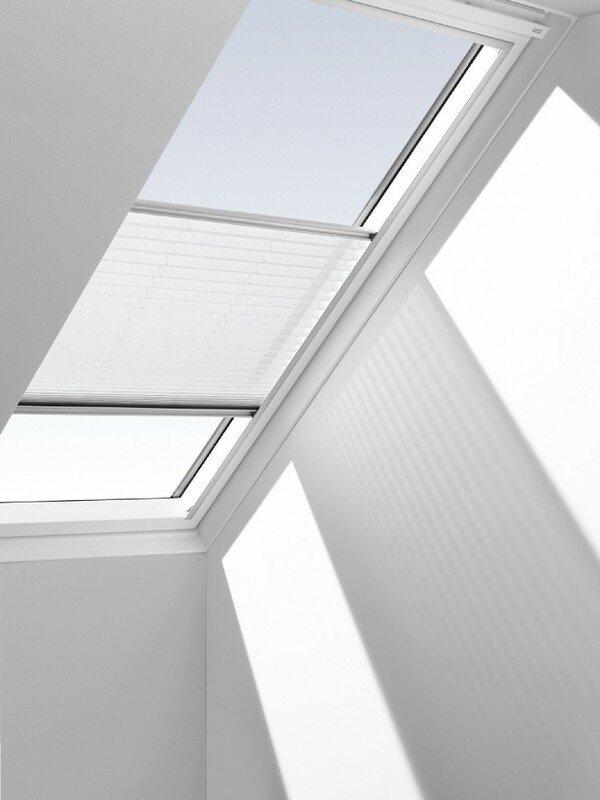 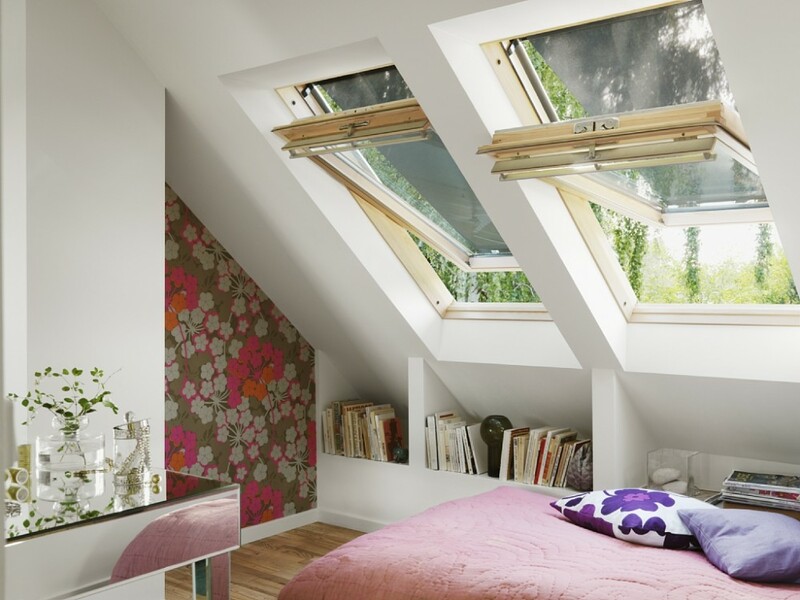 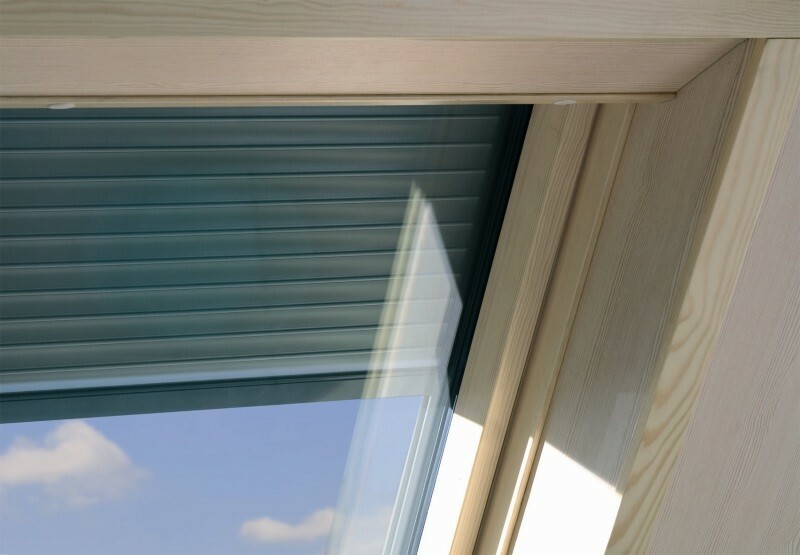 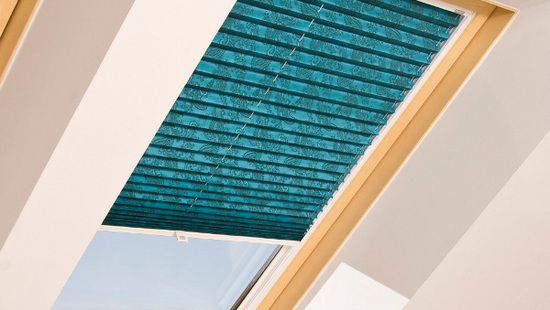 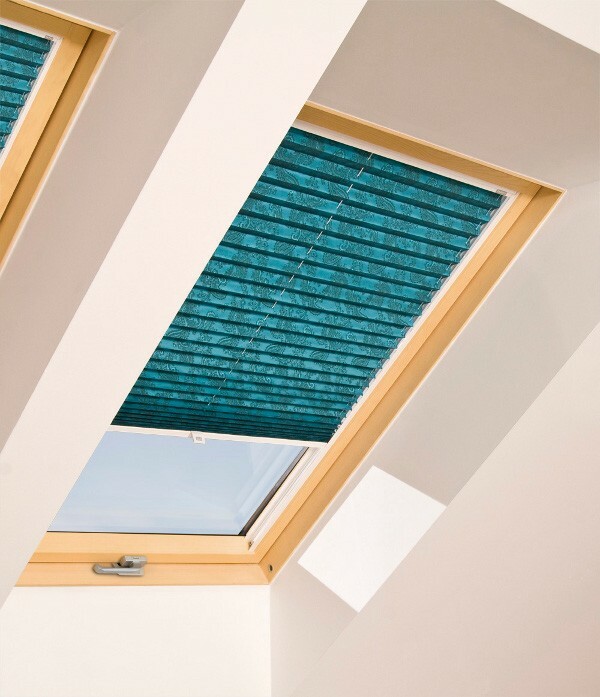 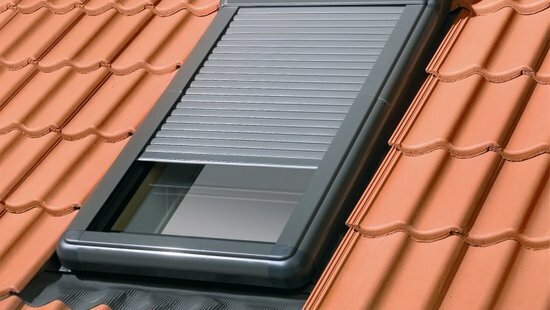 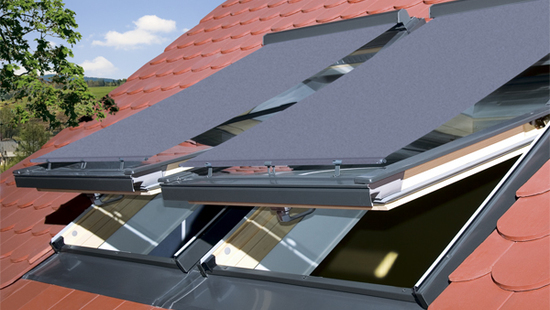 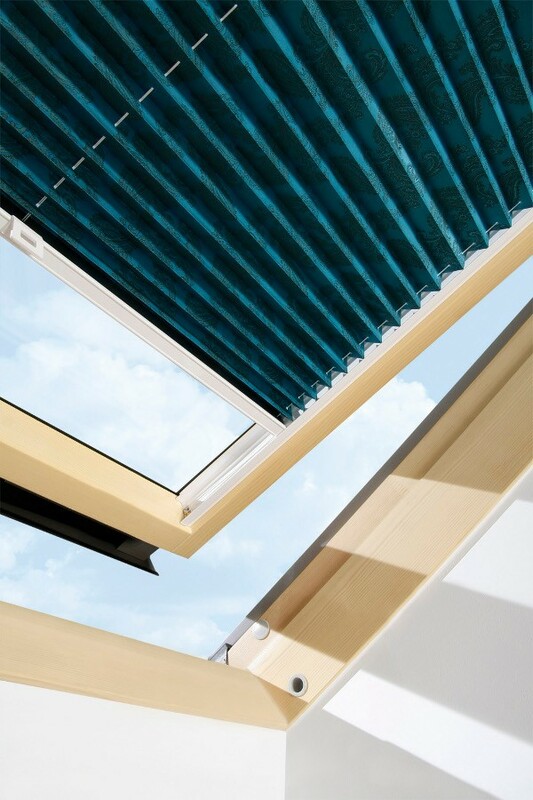 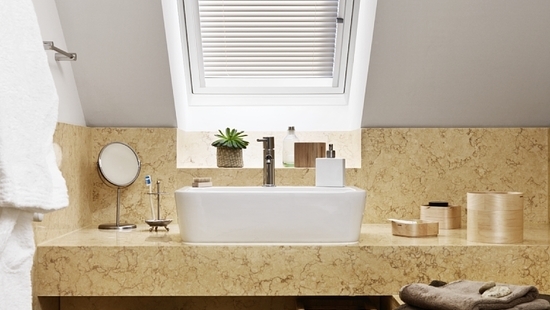 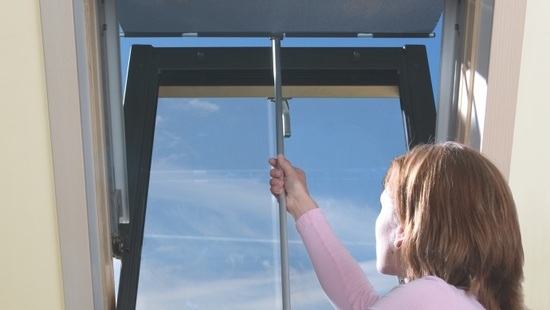 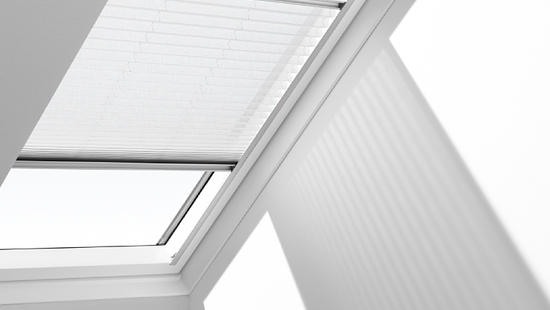 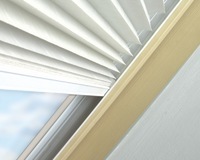 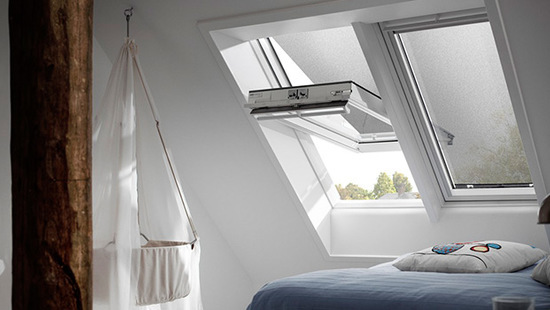 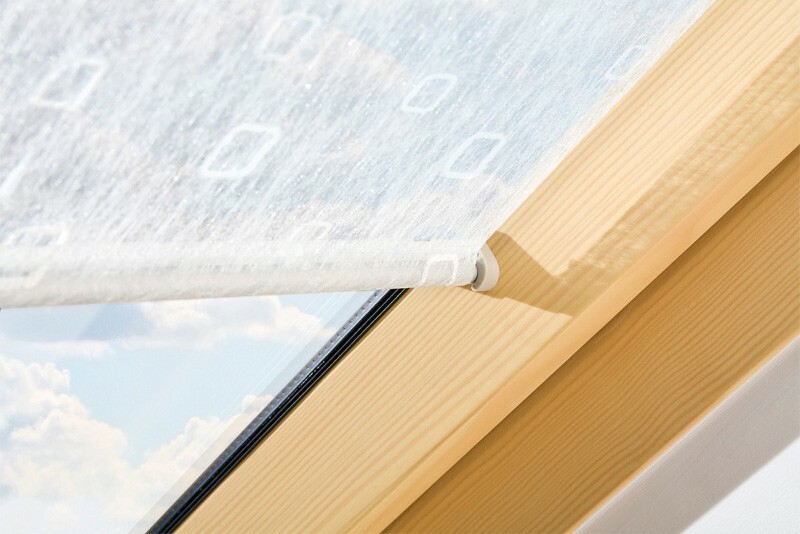 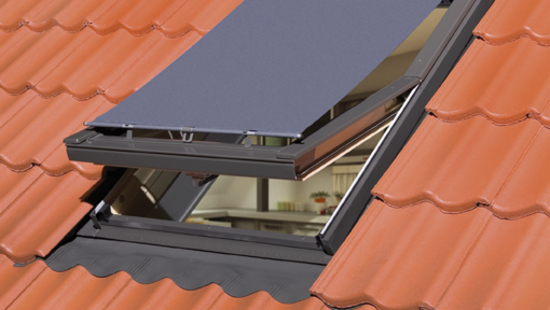 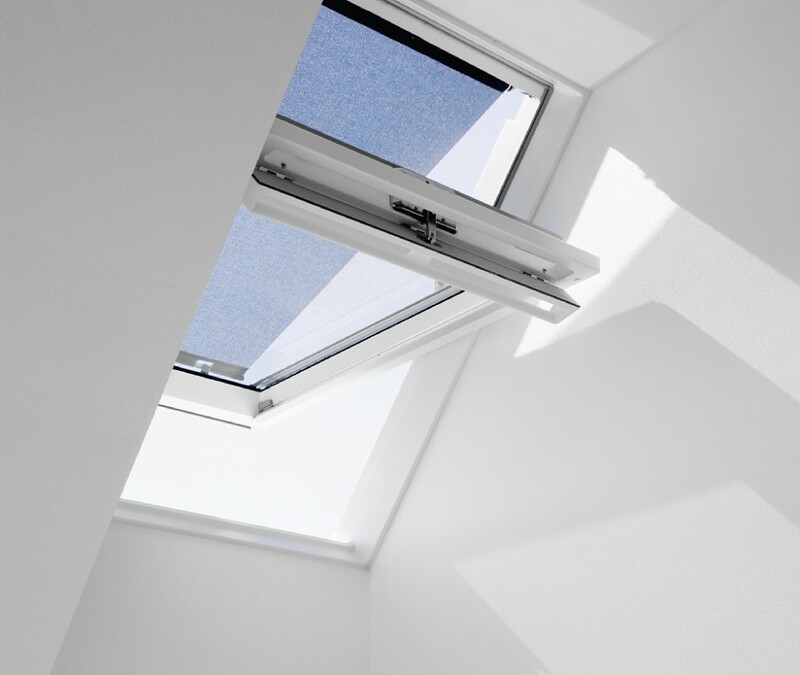 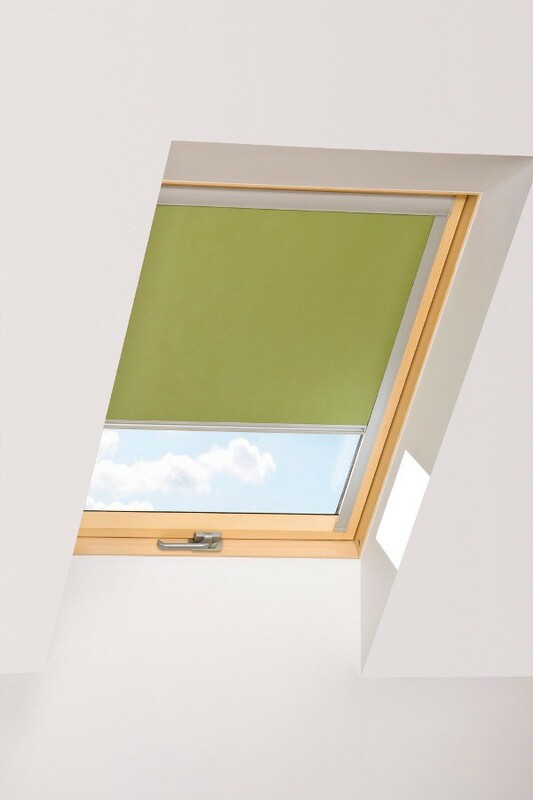 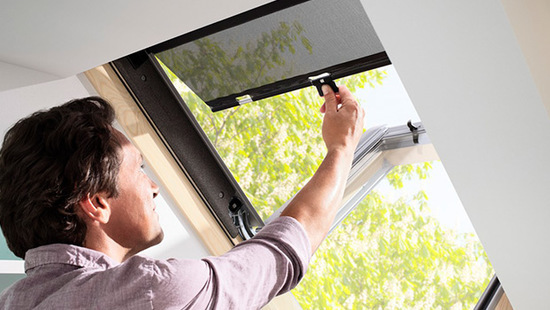 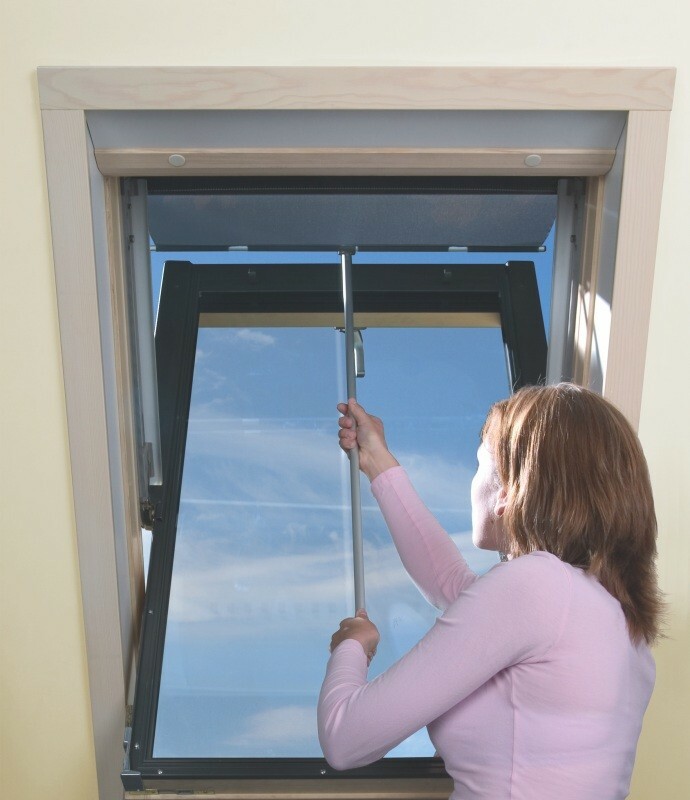 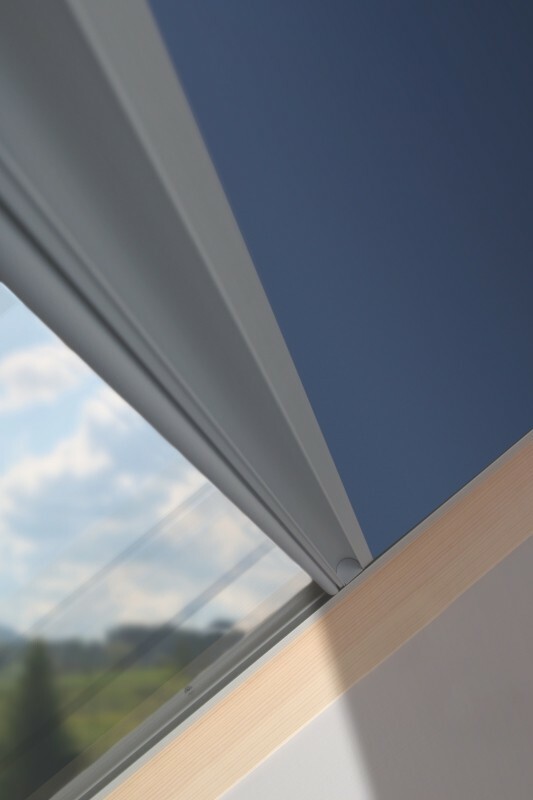 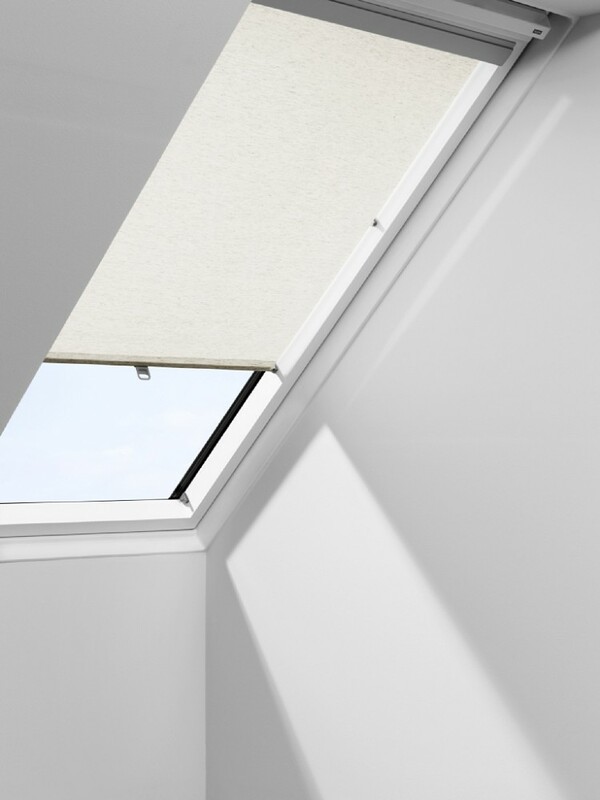 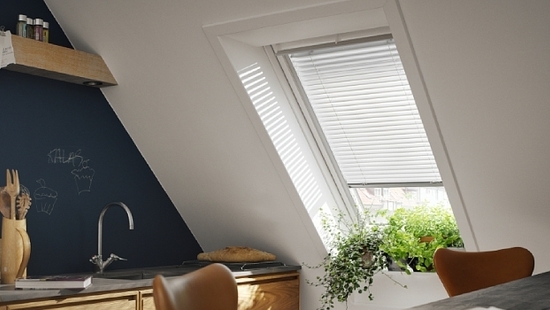 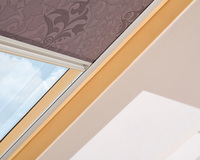 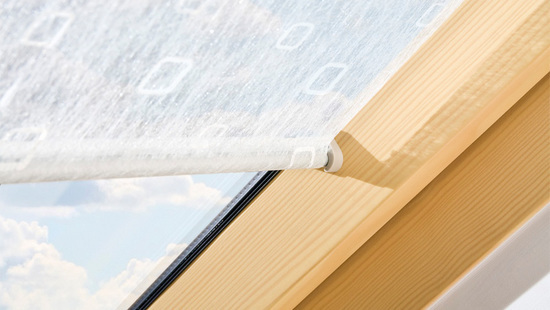 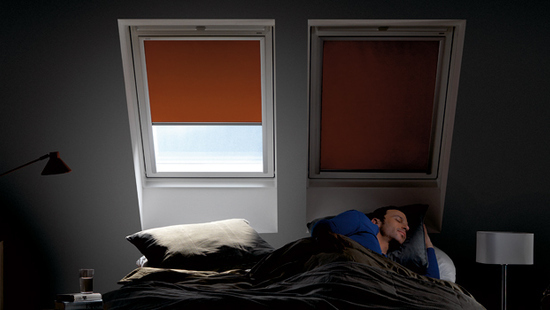 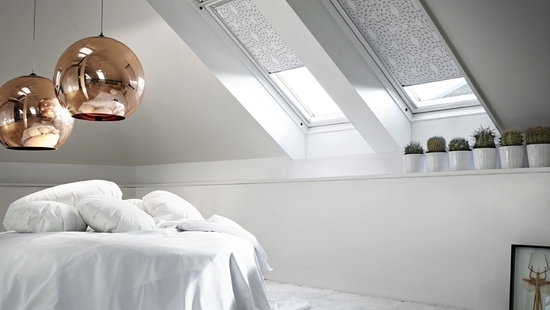 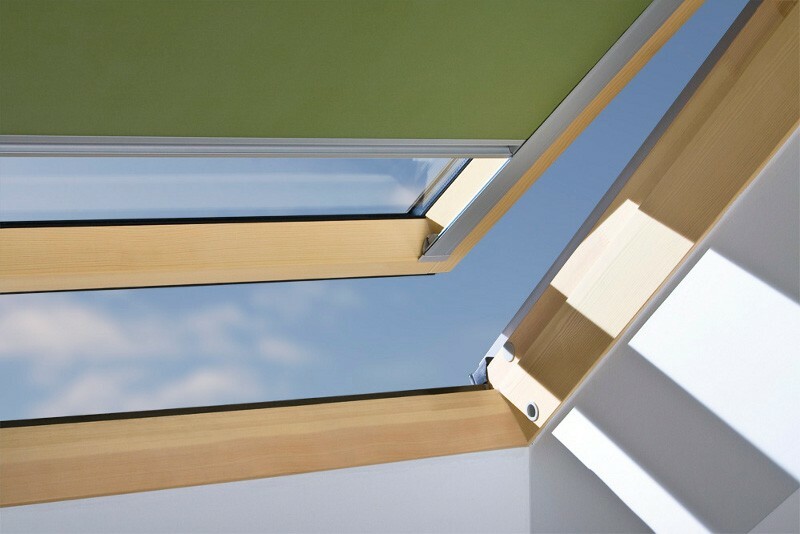 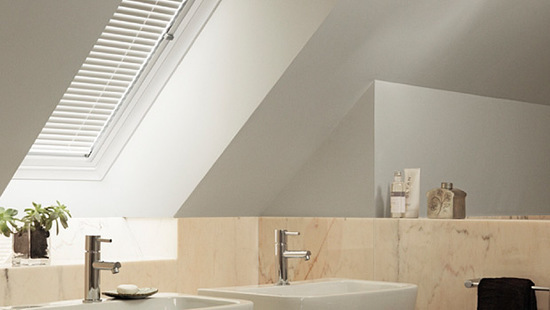 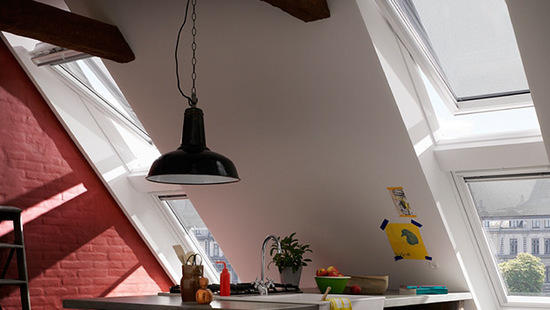 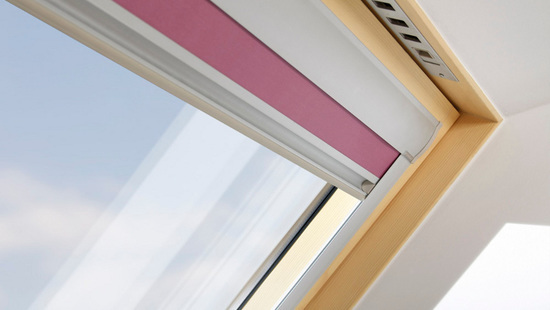 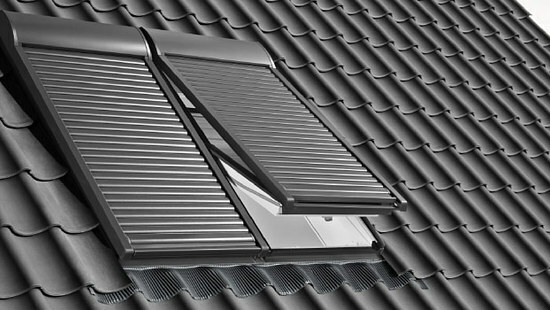 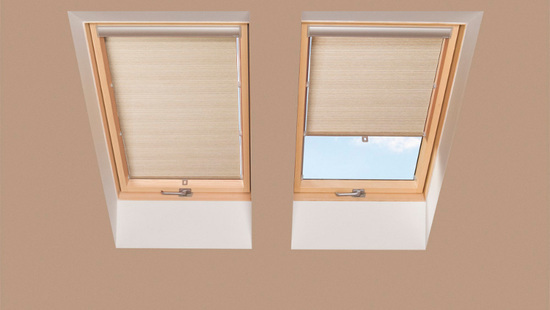 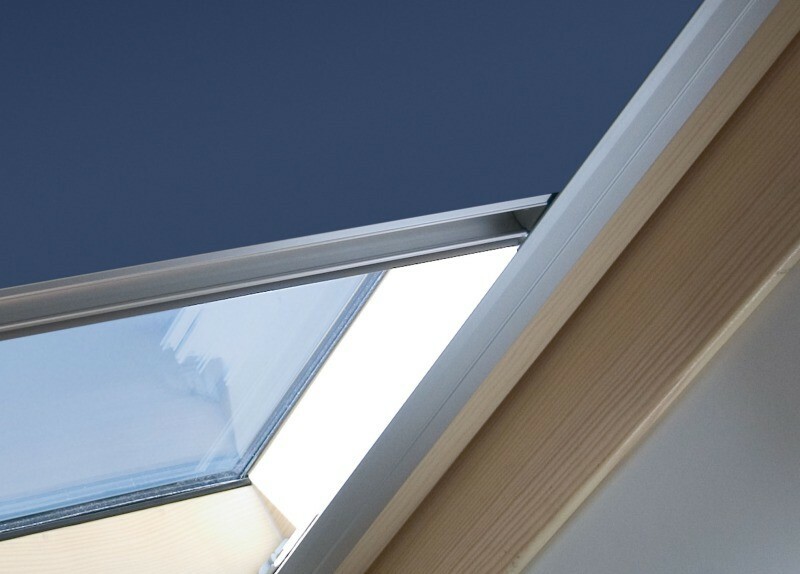 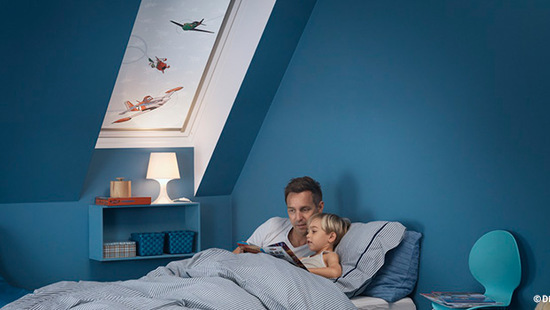 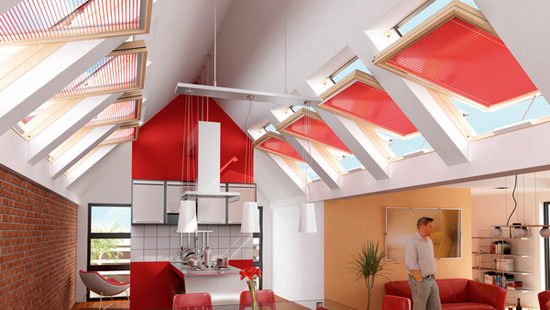 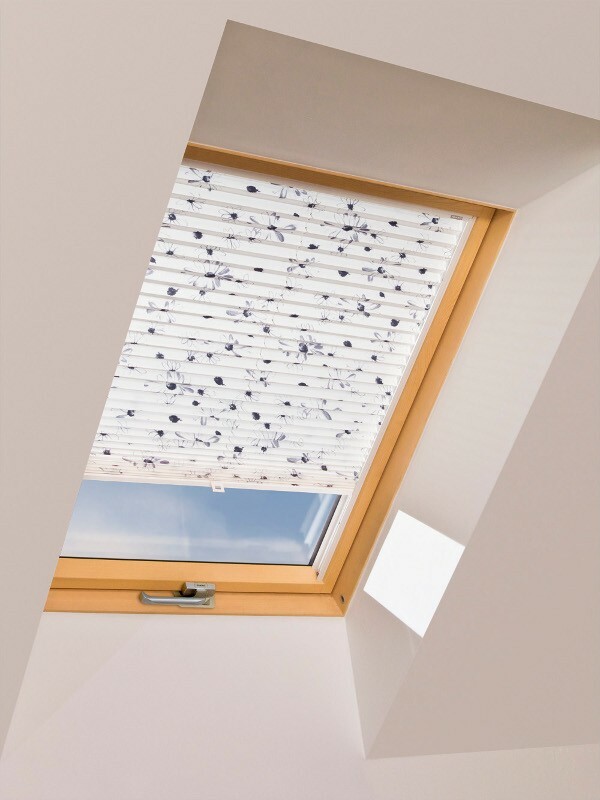 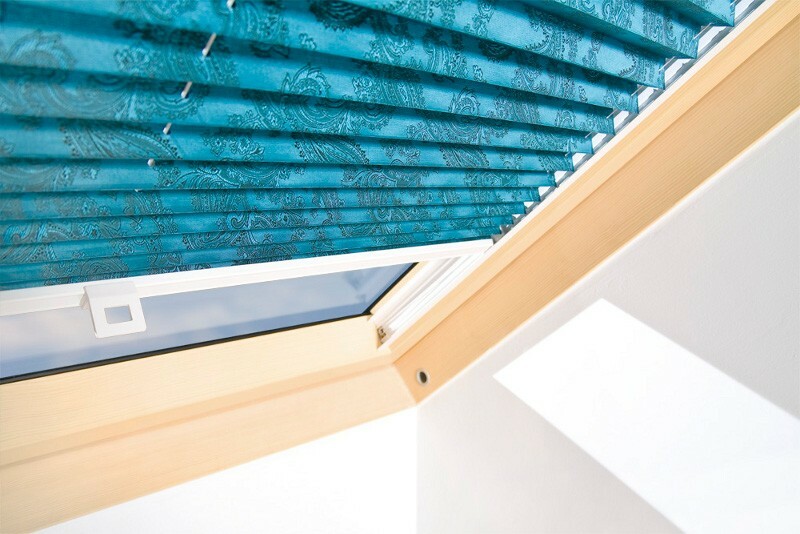 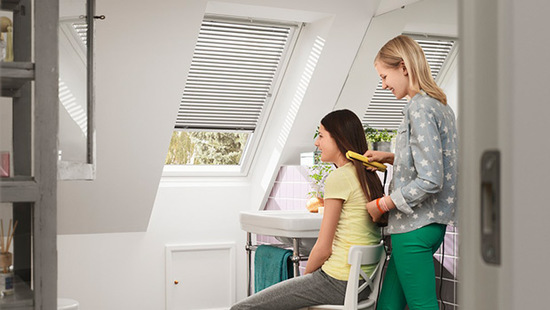 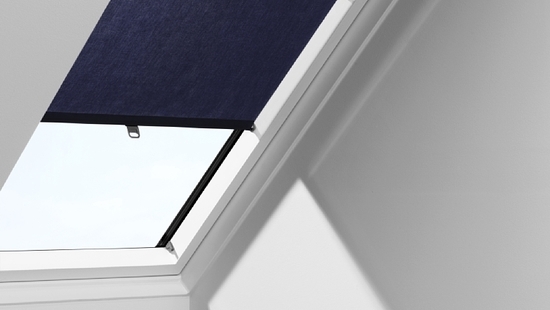 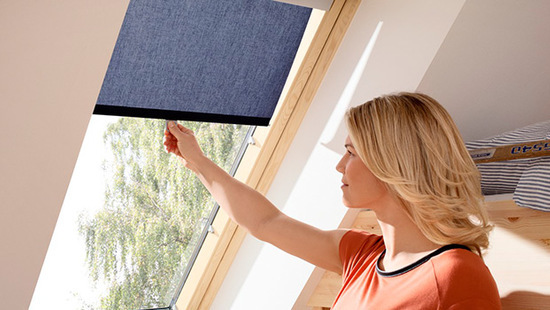 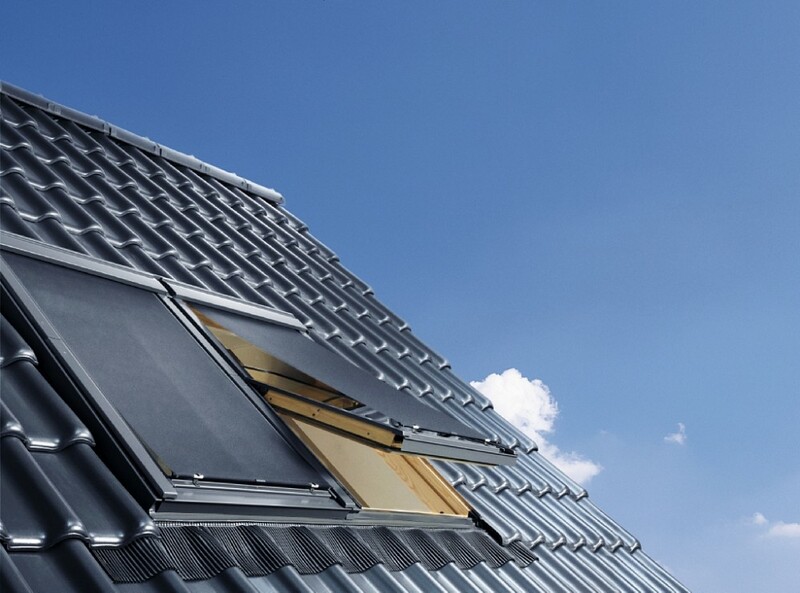 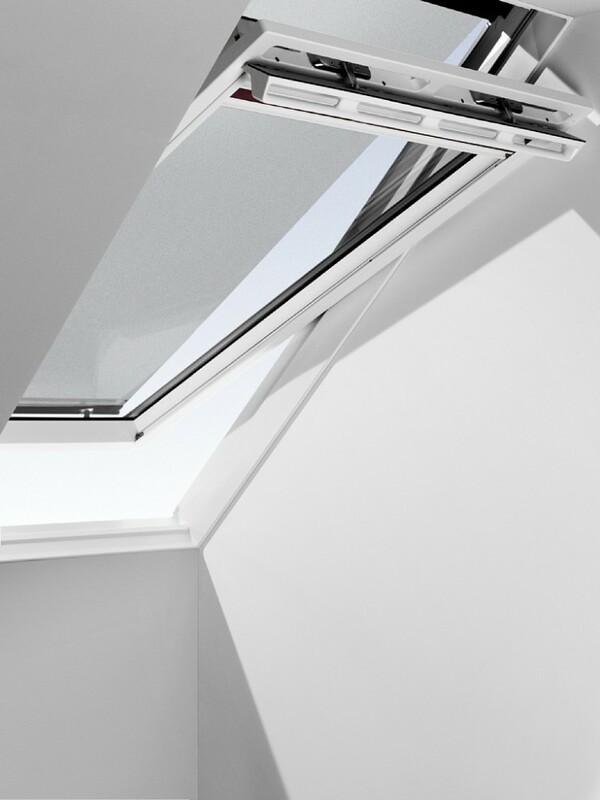 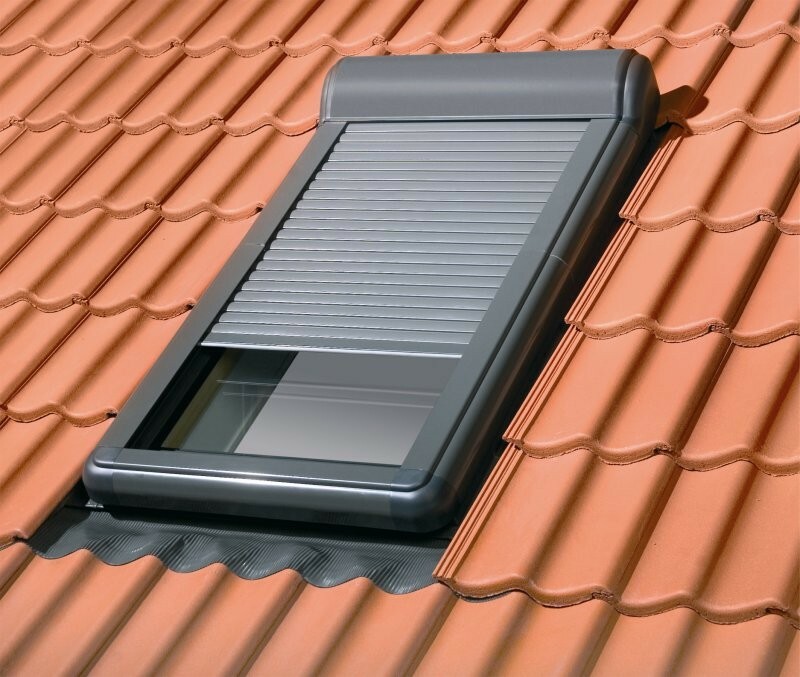 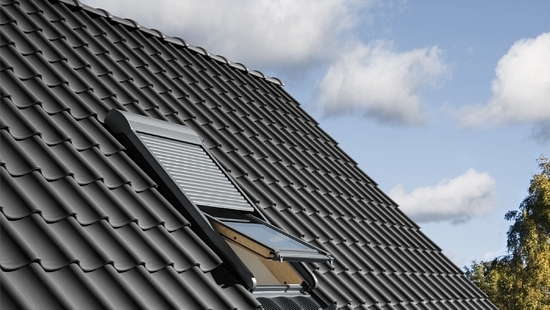 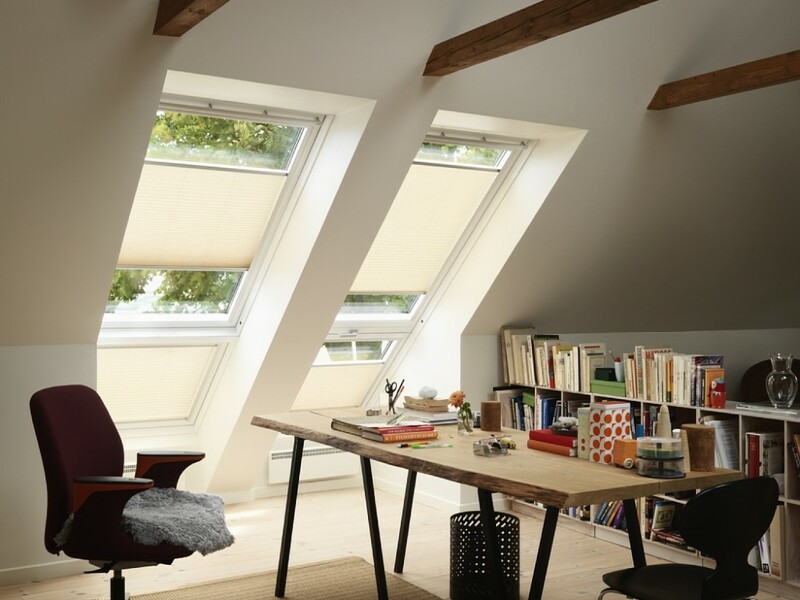 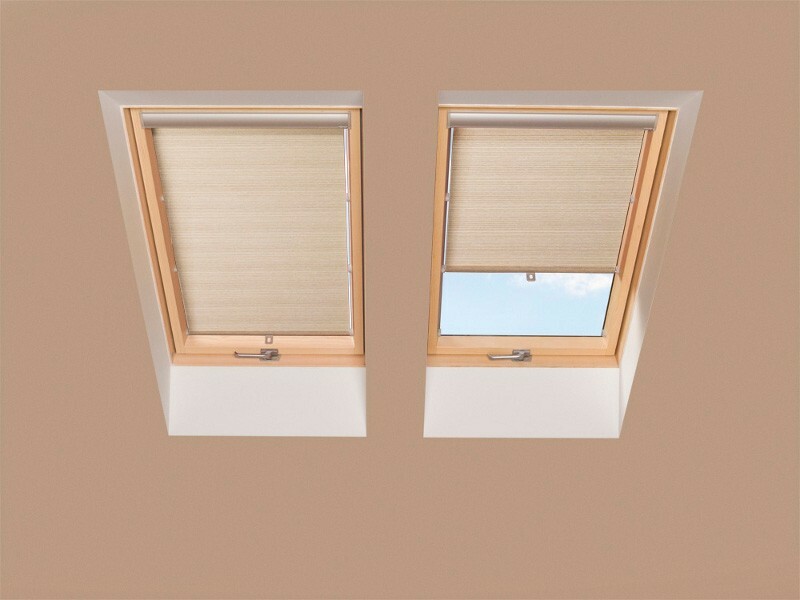 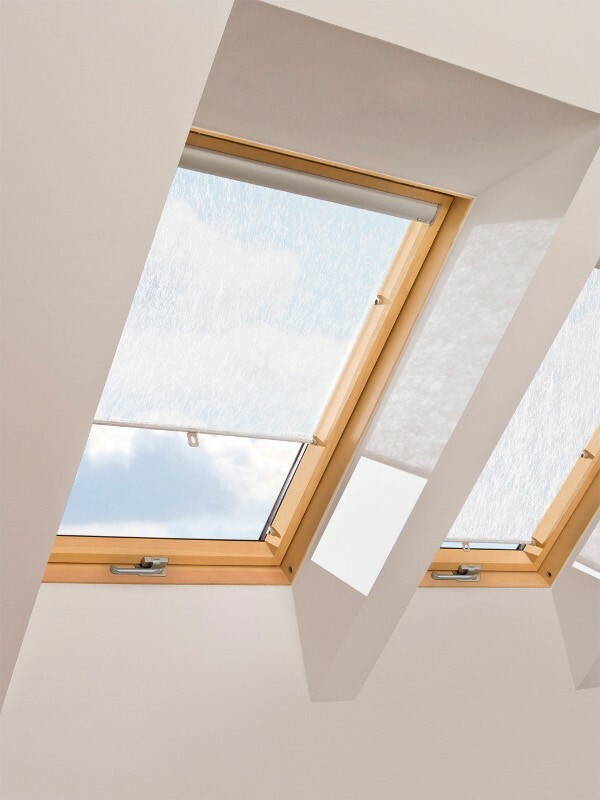 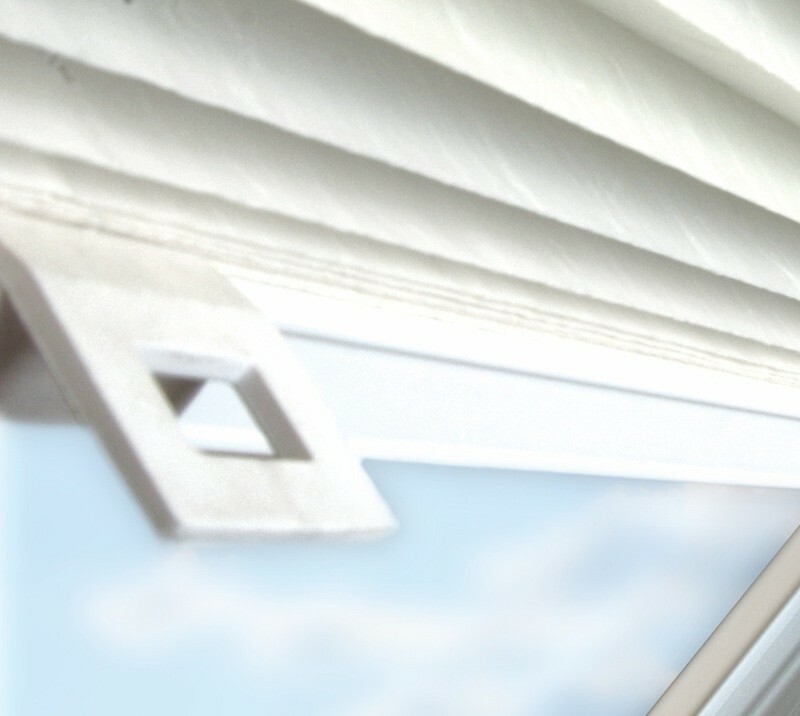 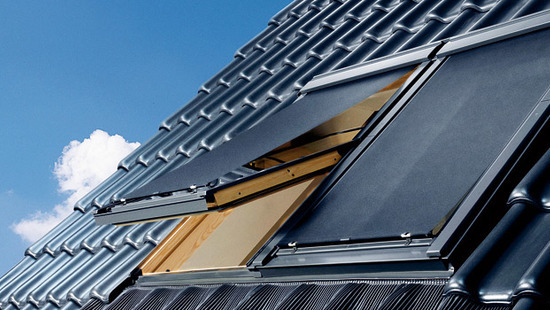 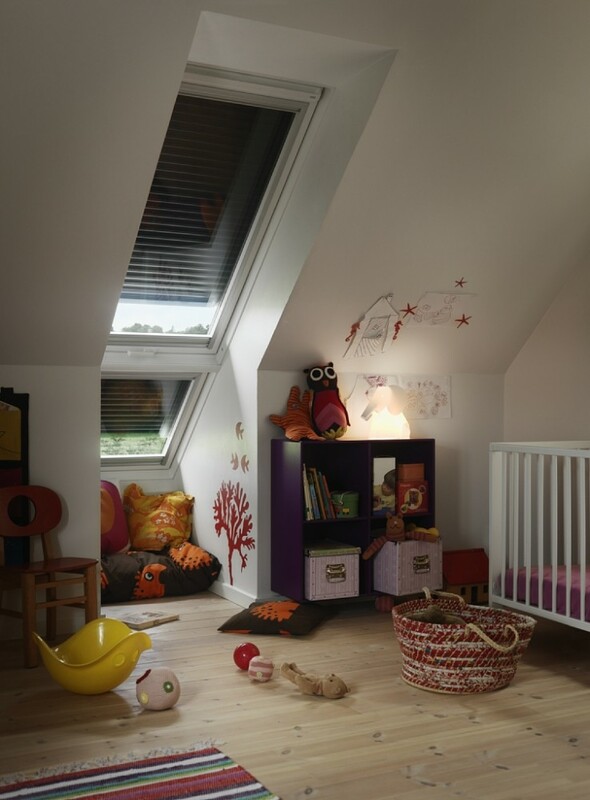 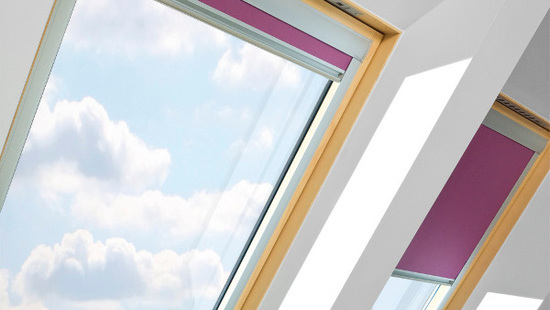 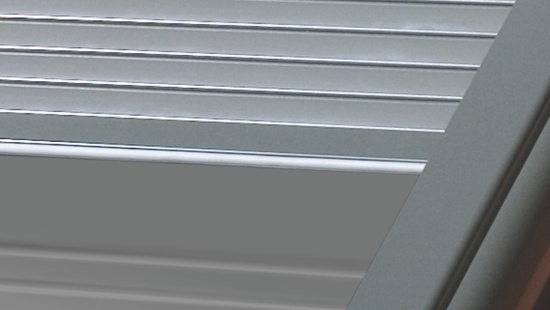 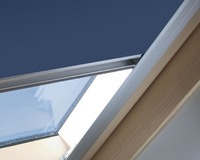 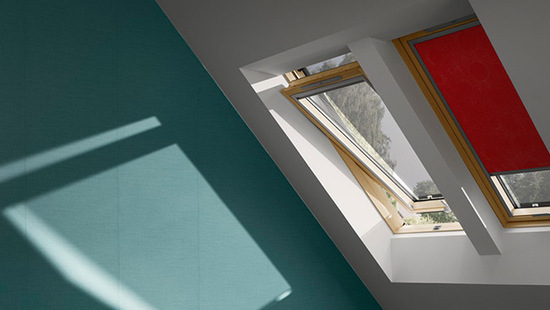 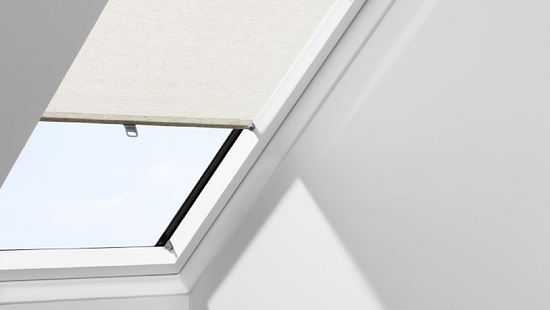 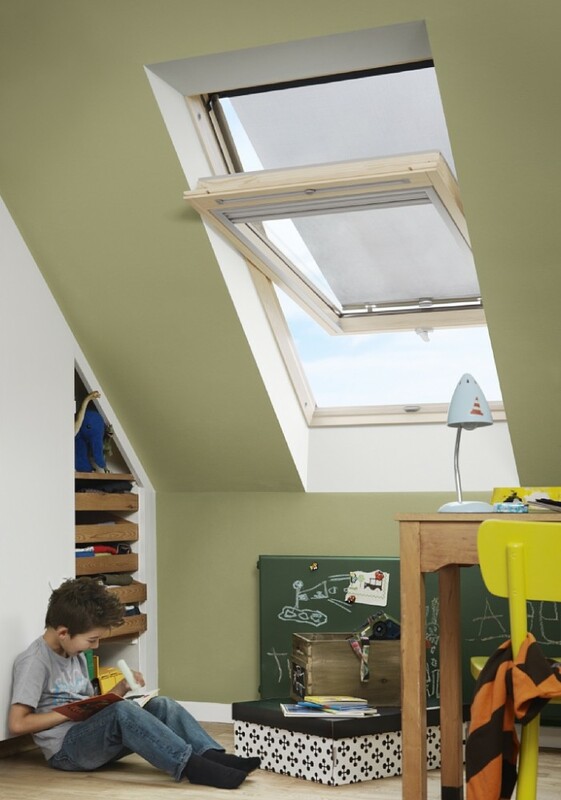 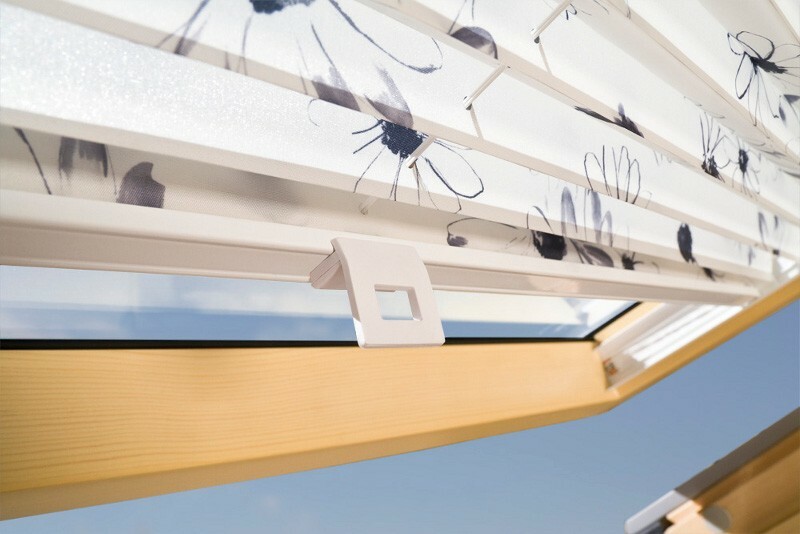 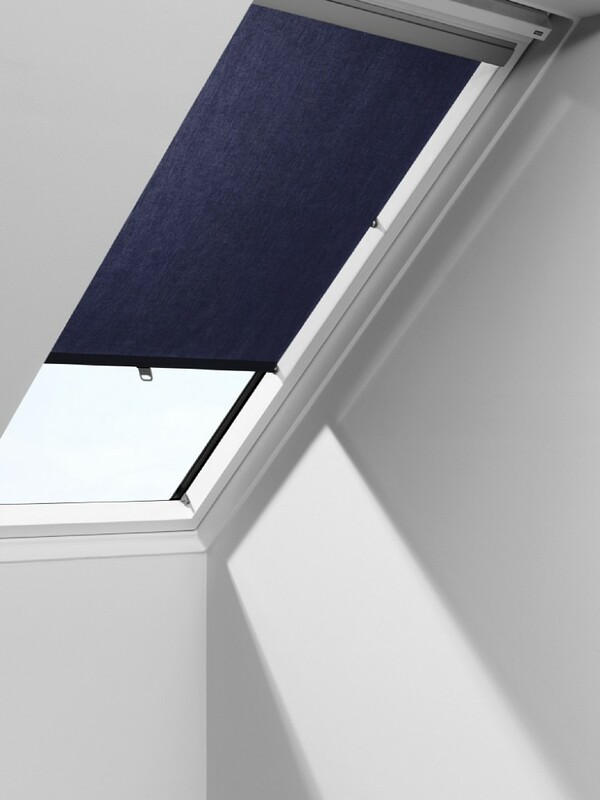 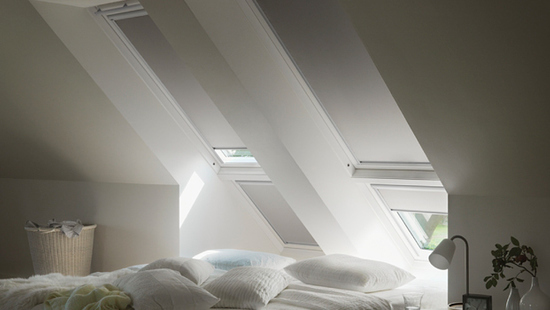 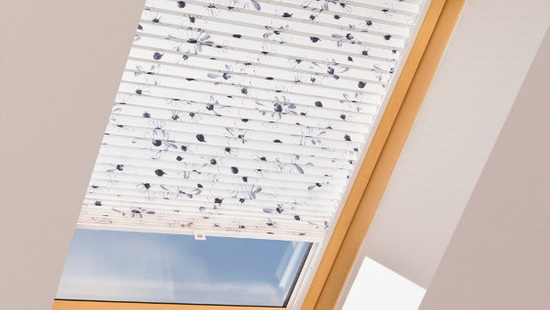 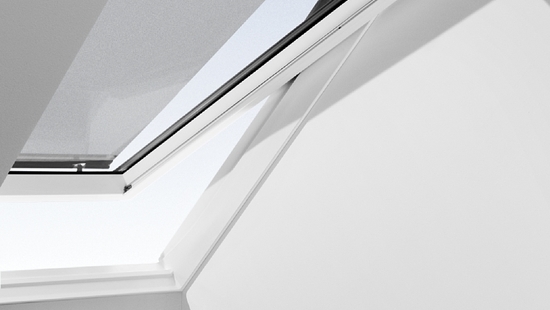 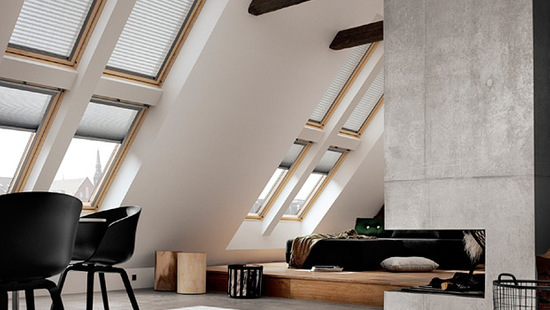 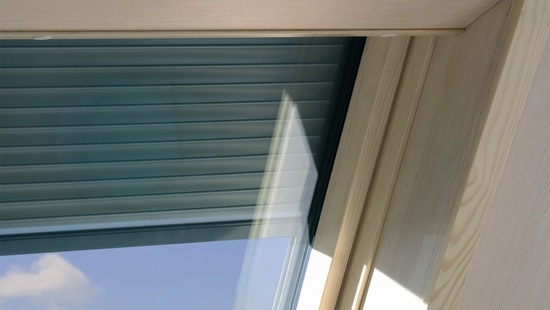 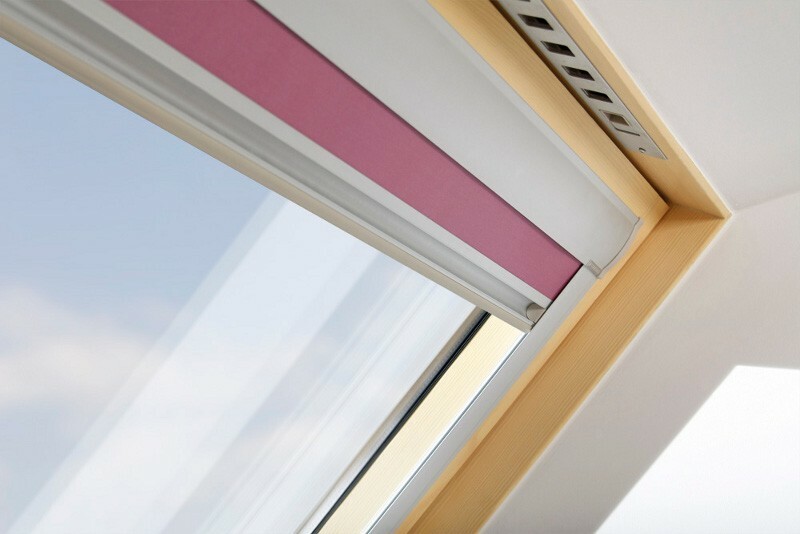 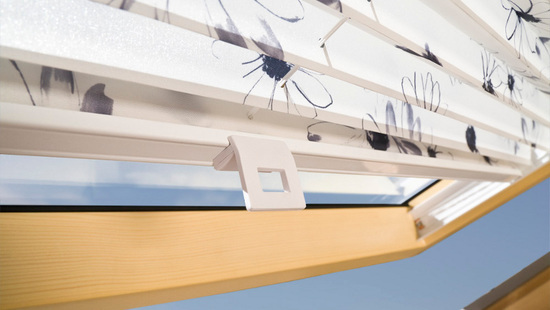 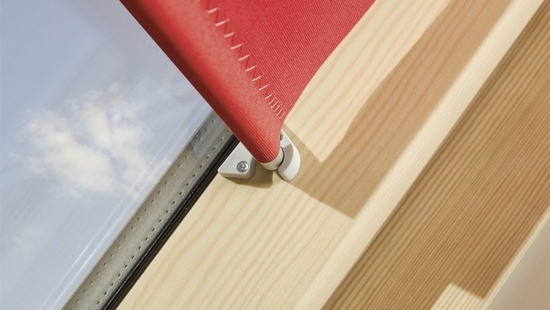 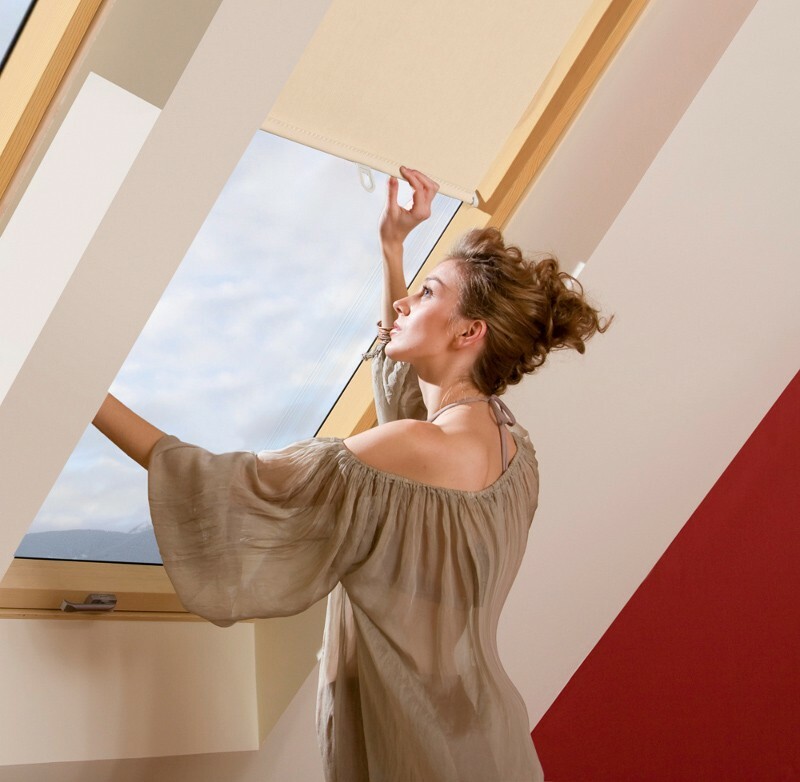 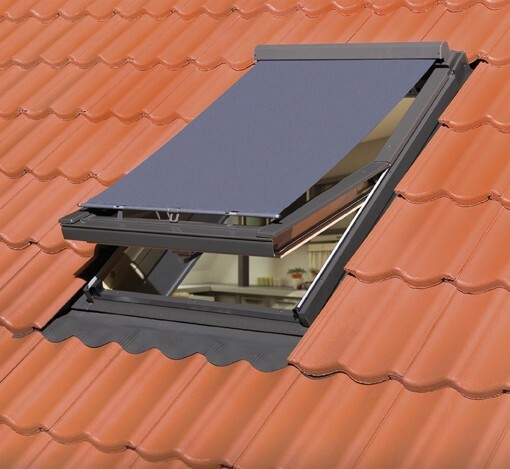 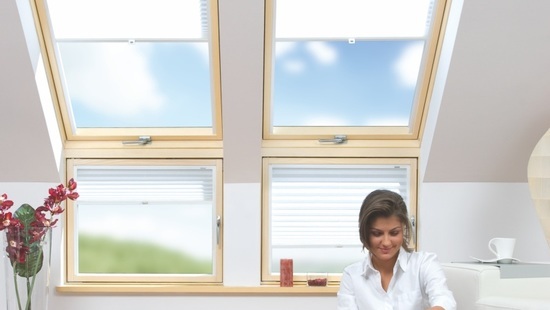 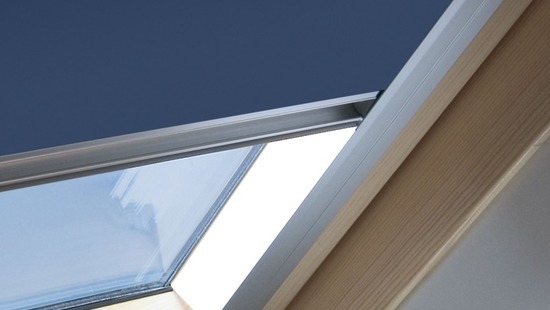 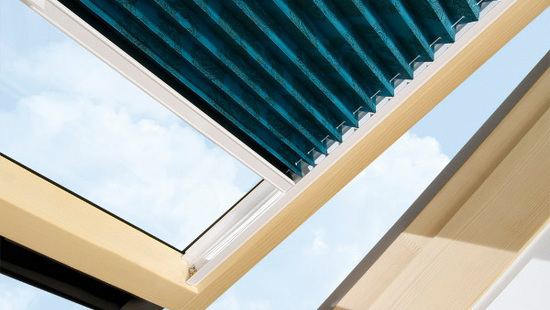 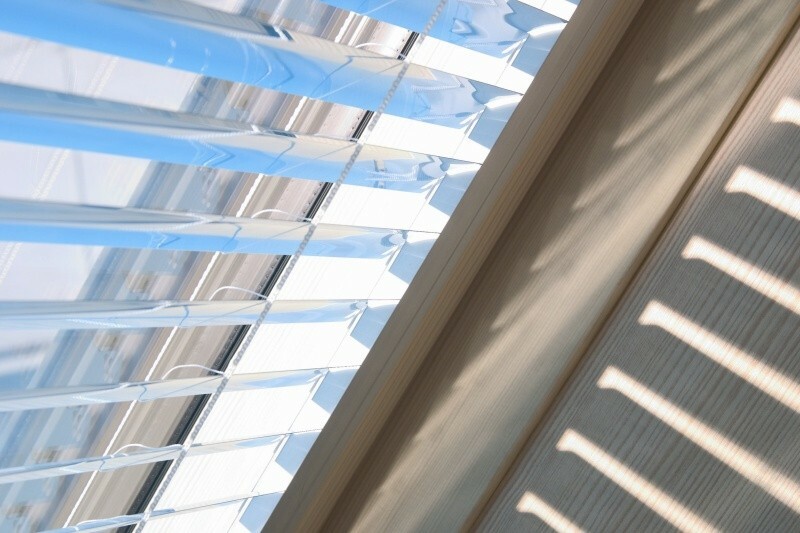 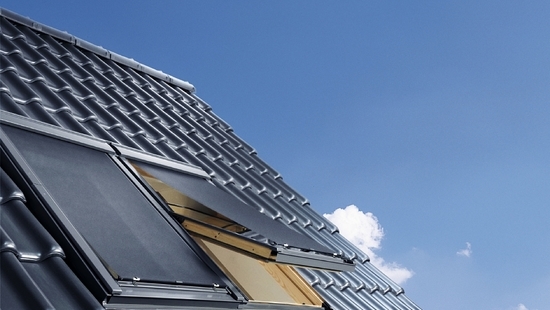 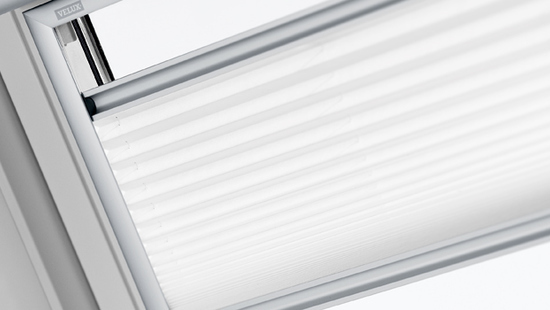 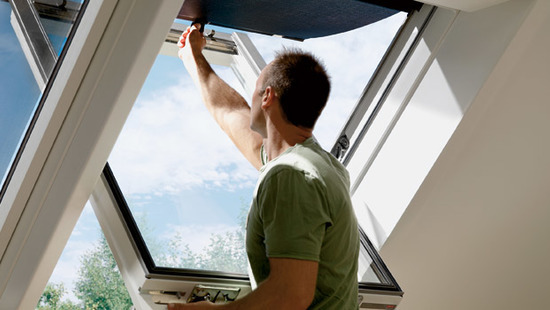 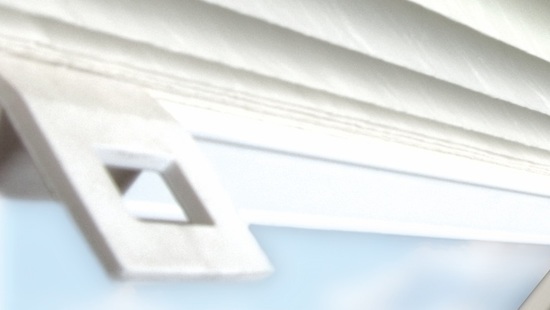 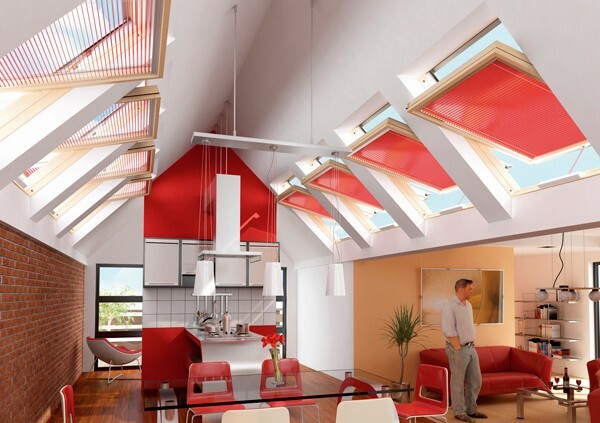 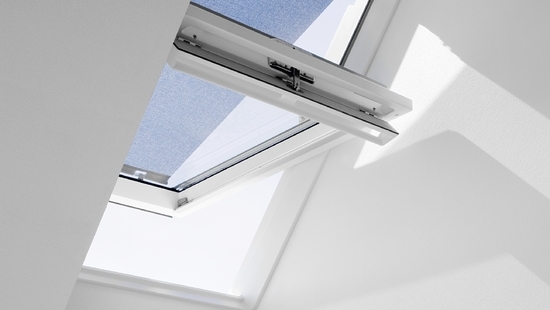 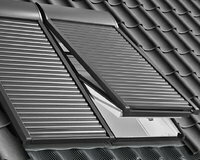 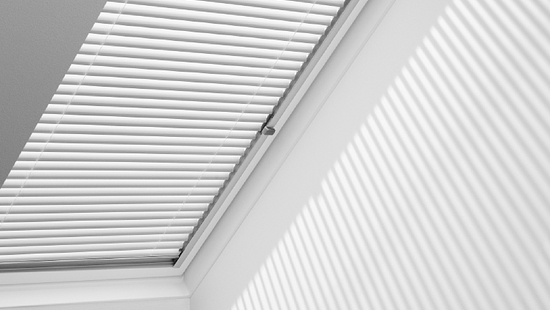 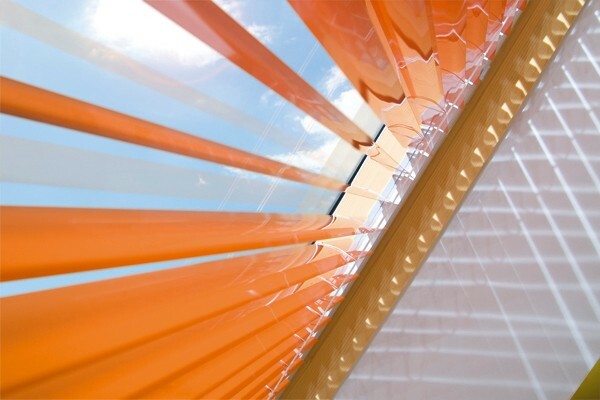 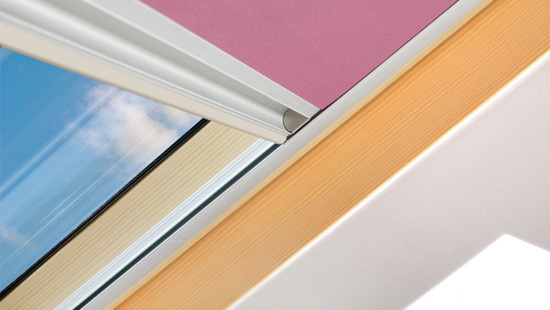 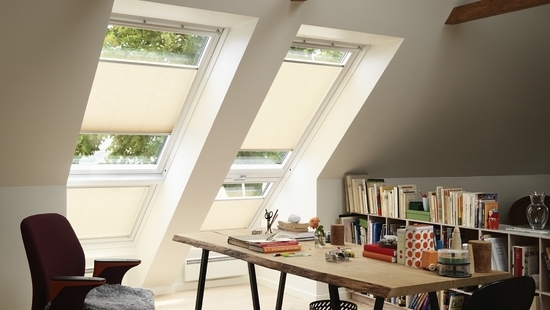 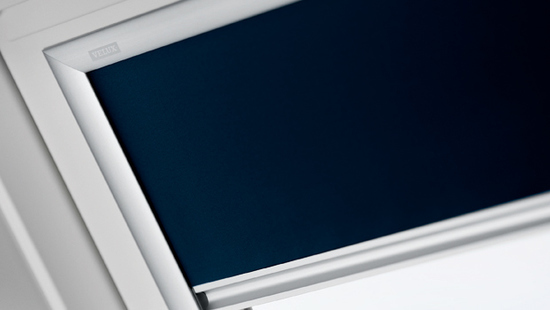 The VELUX venetian blind gives you complete control of the light, as the slats have no holes and can be angled as you wish, even when the window is open. 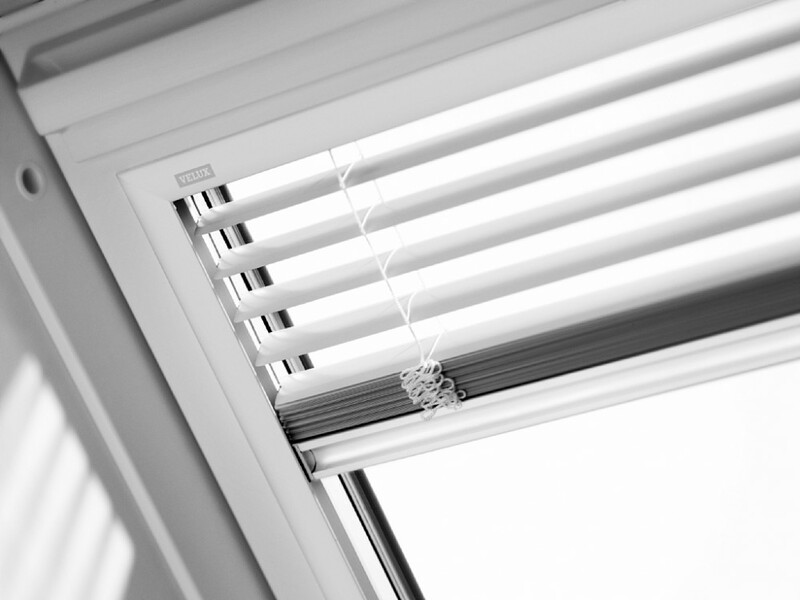 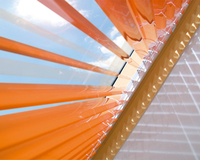 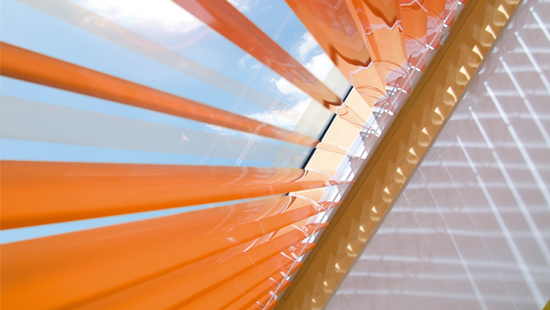 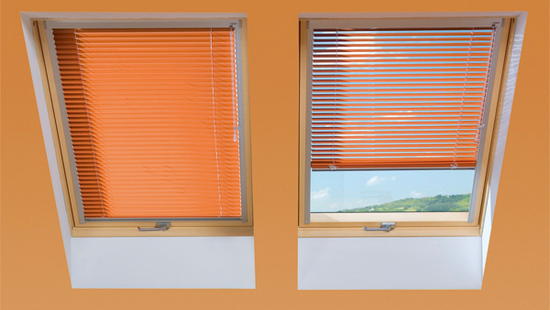 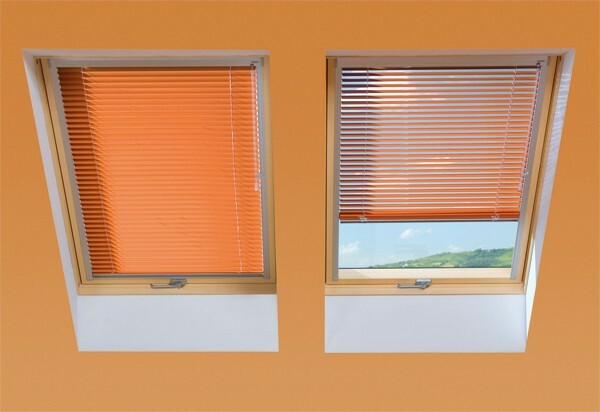 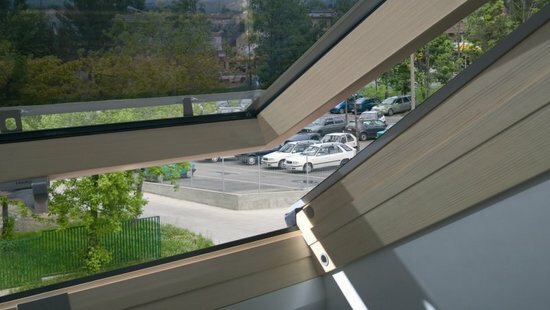 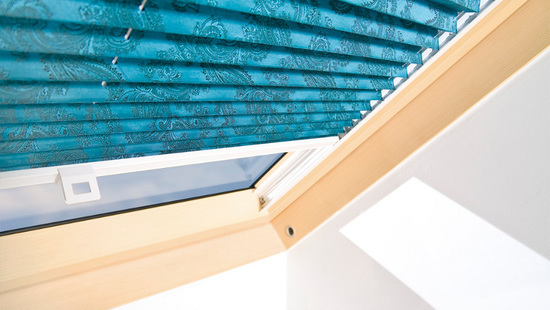 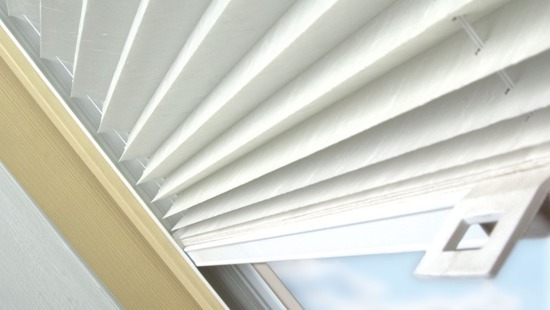 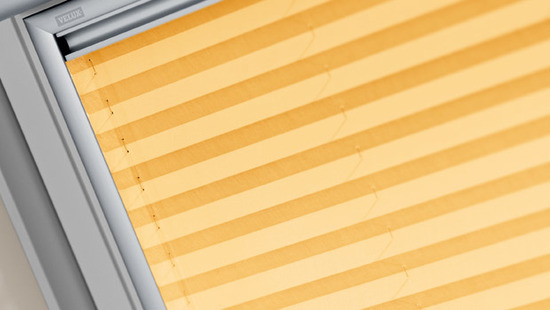 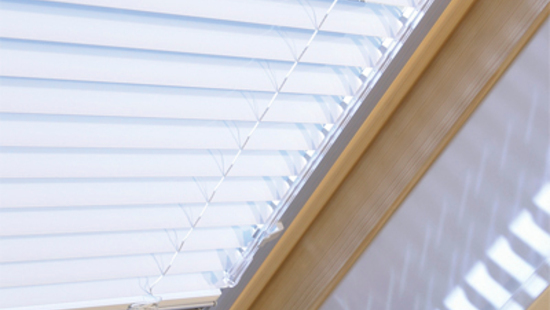 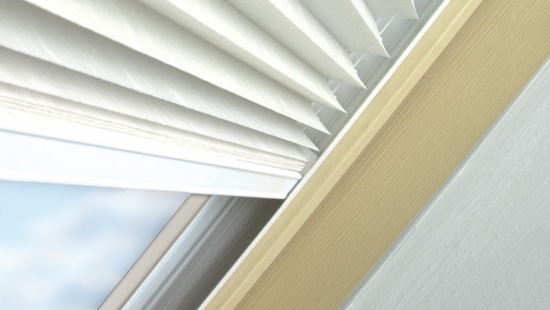 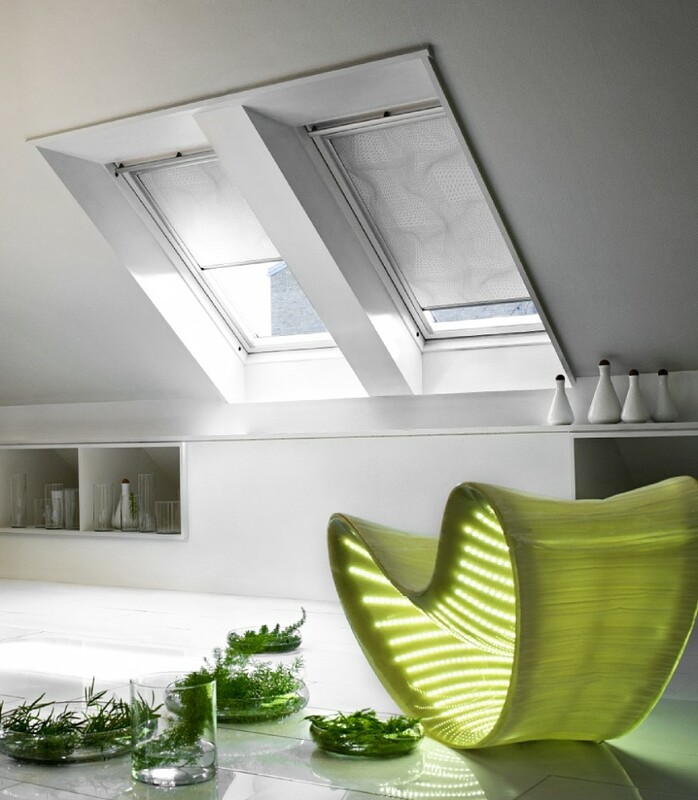 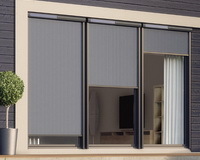 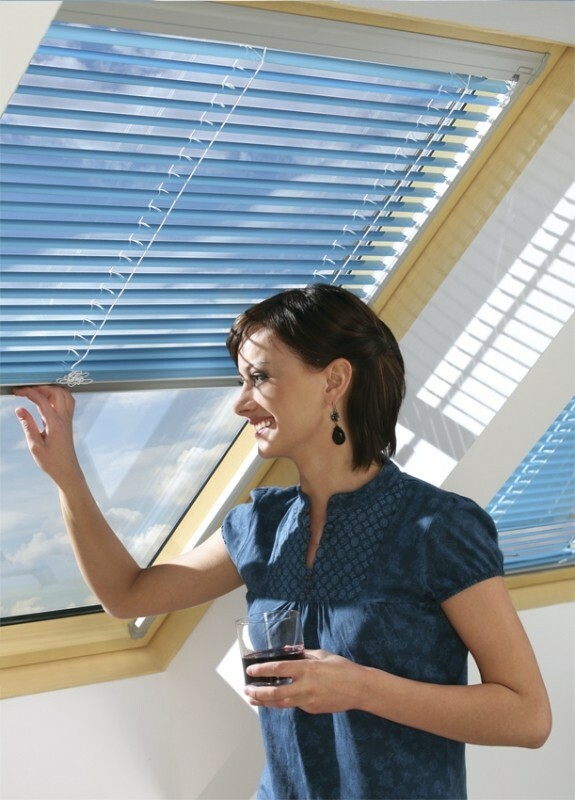 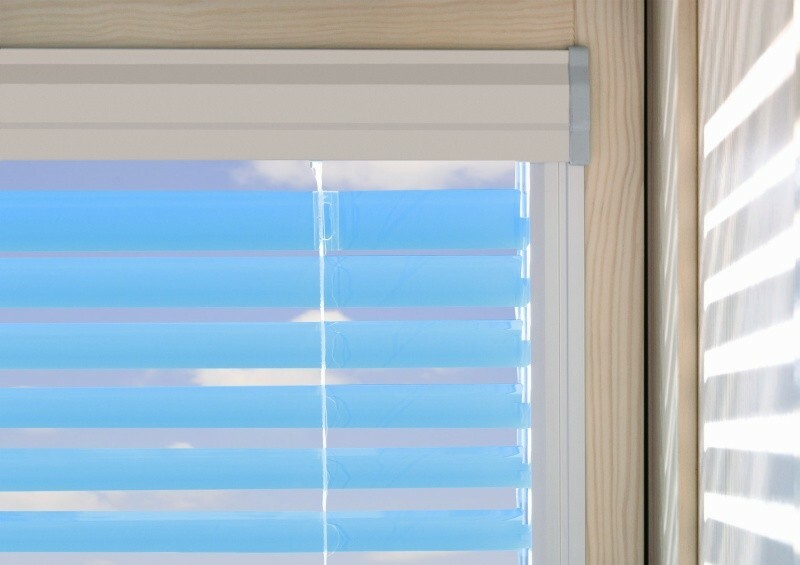 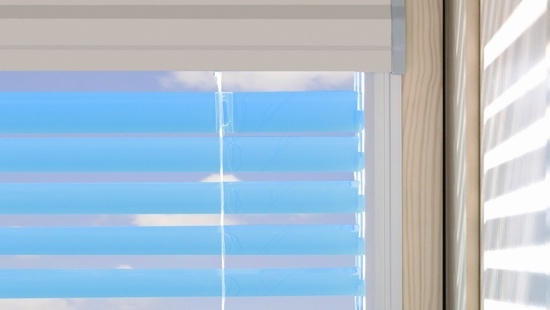 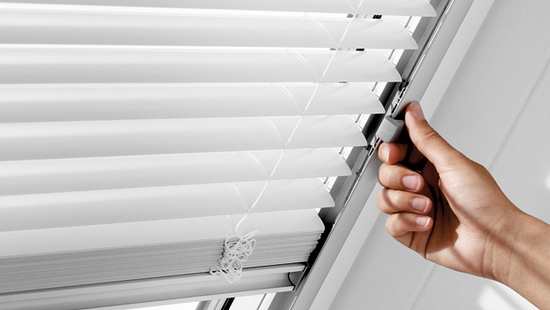 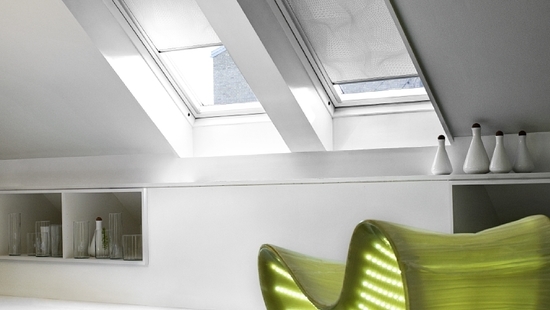 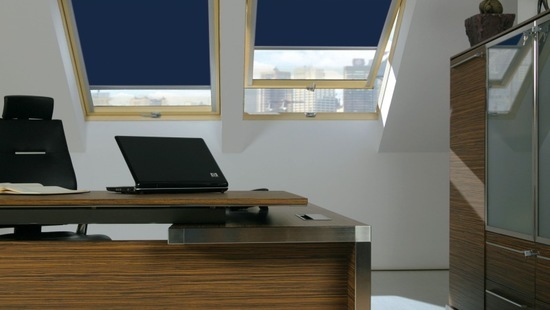 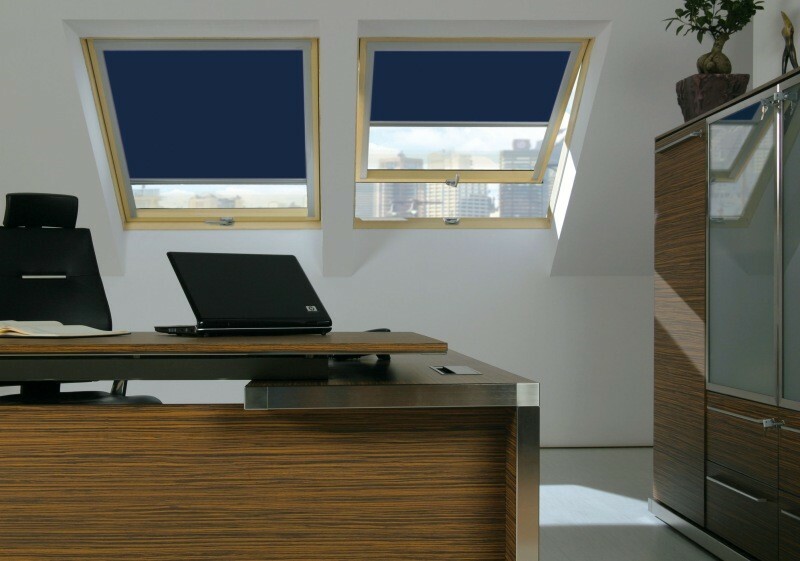 The venetian blind is an optimal solution for rooms where you want to adjust the amount and direction of incoming light - in fact it is probably one of the most flexible shading solutions offered. 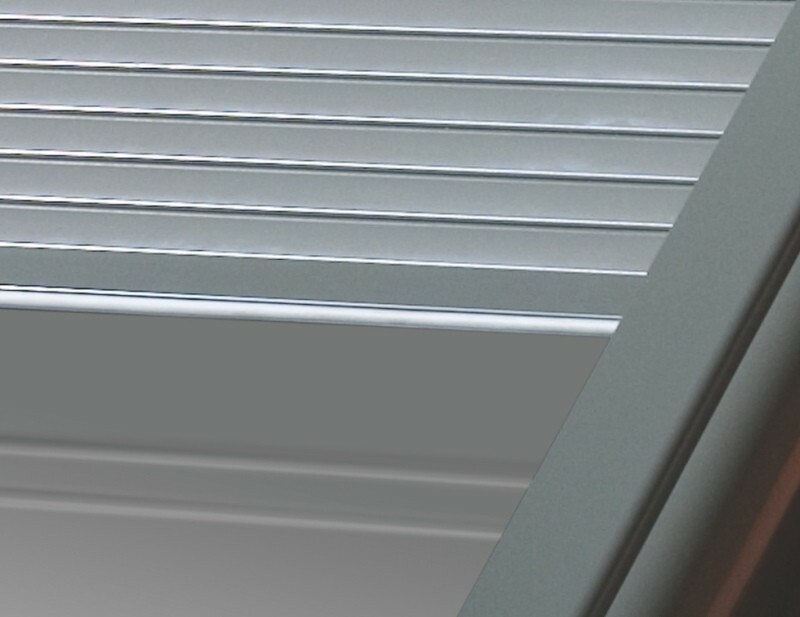 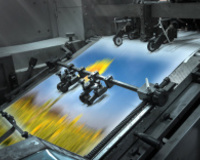 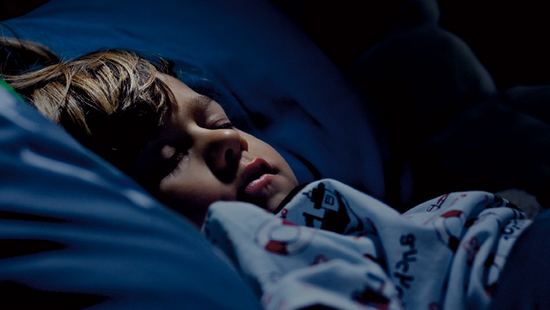 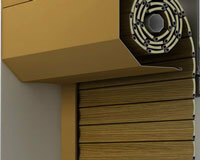 It has a high blackout ability when completely closed and is able to offer a full spectrum of lighting effects with it's unique tilt mechanism.